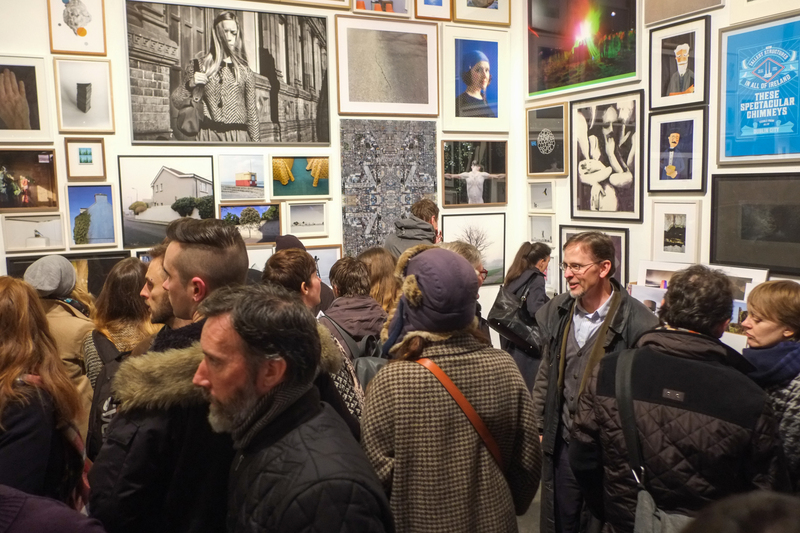 The year 2015 saw PhotoIreland bringing Irish Photography around the world, from Birmingham, to Melbourne, from Jeddha to Hamburg, Gothenburg, Aarhus… But we also brought back great works home, from as far as Korea. 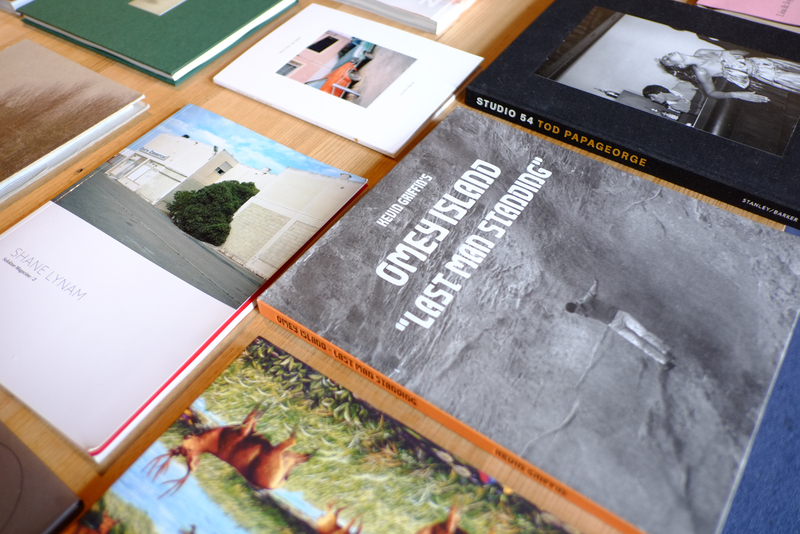 It has been a fantastic year, let’s review it! 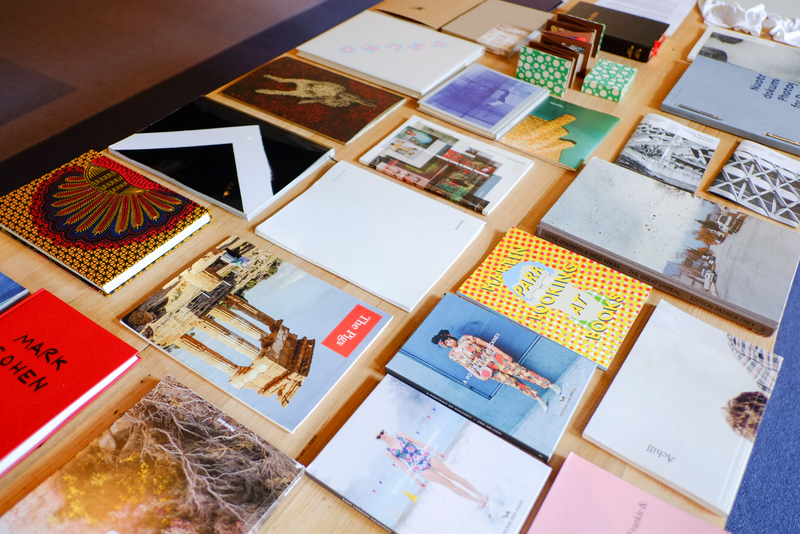 Image credit: Martin Parr, at DMB & Magnum Photos. 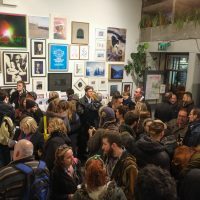 In January, The State of Photography brought to Birmingham an event that explored, debated and reviewed how photographers and photography practice develops, responds and thrives in the current challenging times. 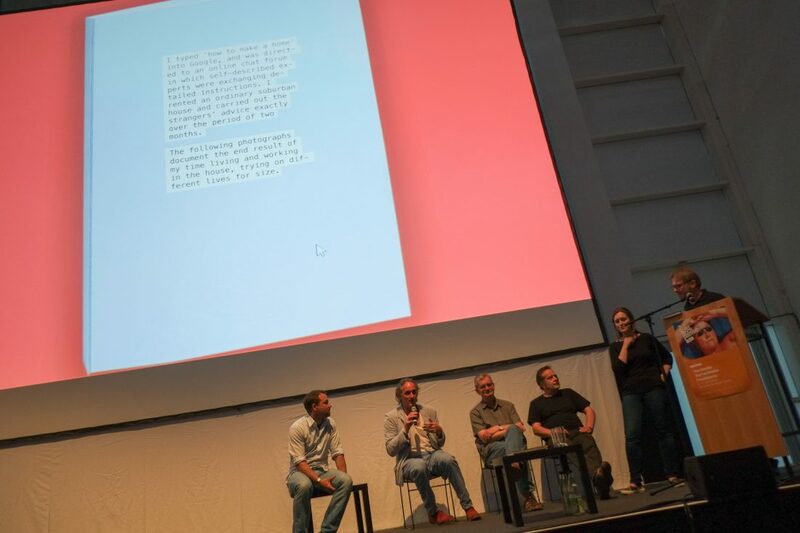 During the Symposium we heard from the perspective of the photographer, curator, festival director, agent and publisher: “with a focus on innovation and sustainability speakers conveyed what it takes to not only survive but to expand and thrive”. 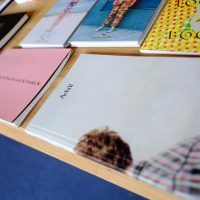 The day explored and celebrated self-initiated projects and entrepreneurialism by hearing from a range of photographic projects that are current and at the cutting edge of photography today. 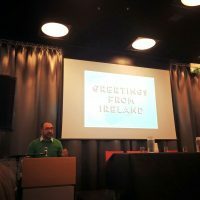 At the conference, we had the chance to share the hard work done to date by PhotoIreland, and to discuss with all guests about the current situation of Photography internationally. 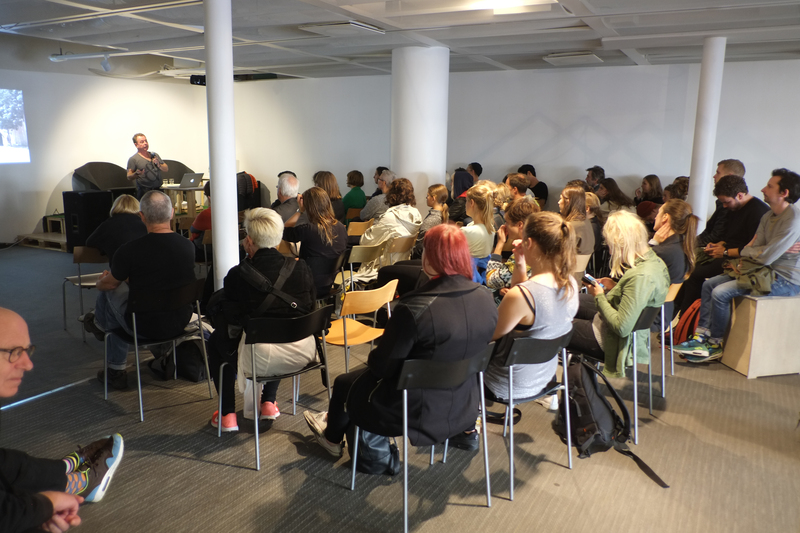 Speakers included Adam Broomberg & Oliver Chanarin, David Birkitt (DMB), Tim Clark (1000 Words), Ángel Luis González (PhotoIreland), Louise Clements (FORMAT), Uncertain States Magazine, Lara Ratnaraja, Karen Newman, Paul Herrmann, Faye Claridge, and Peta Murphy-Burke. 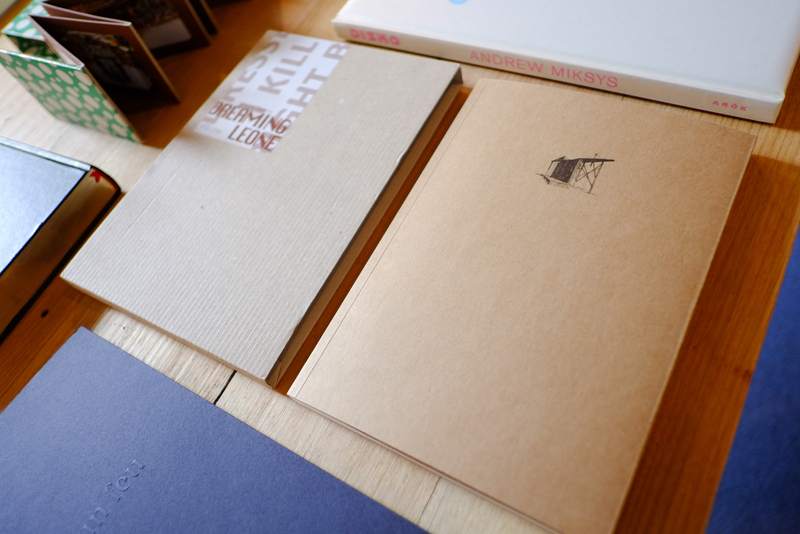 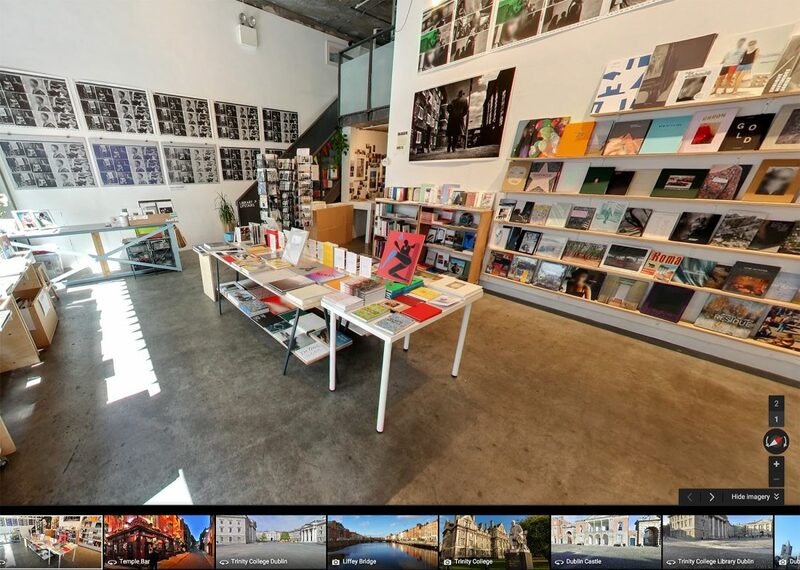 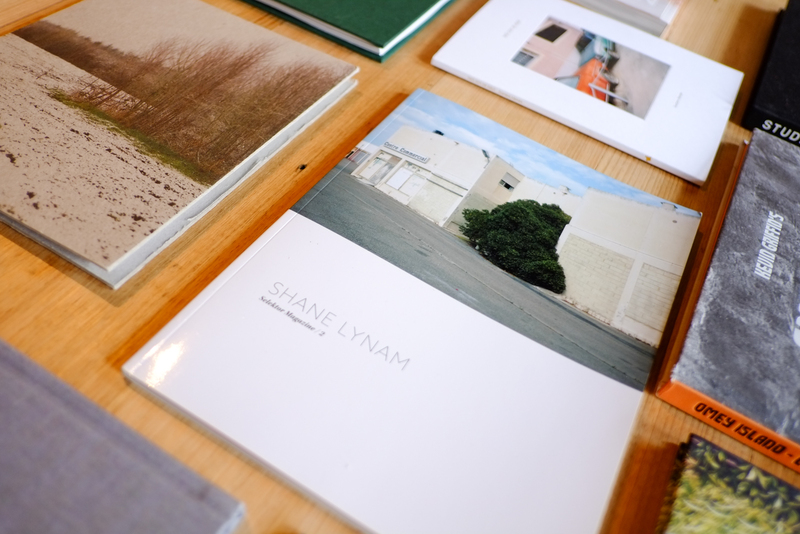 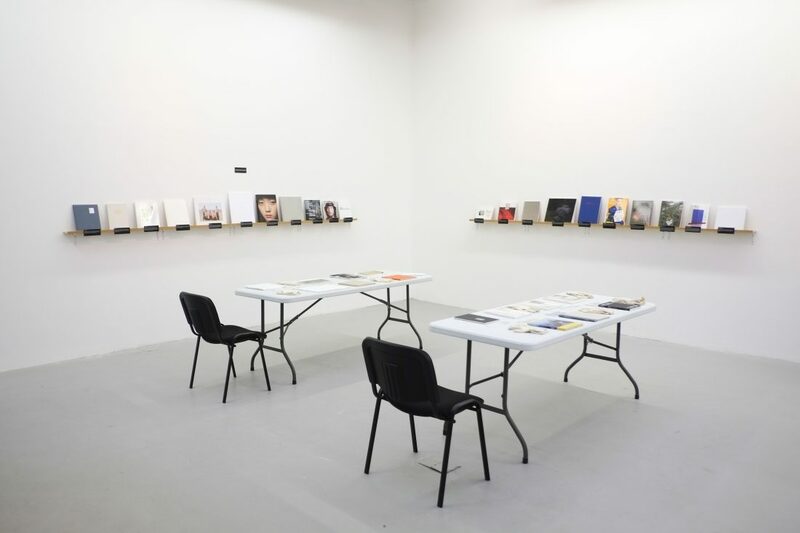 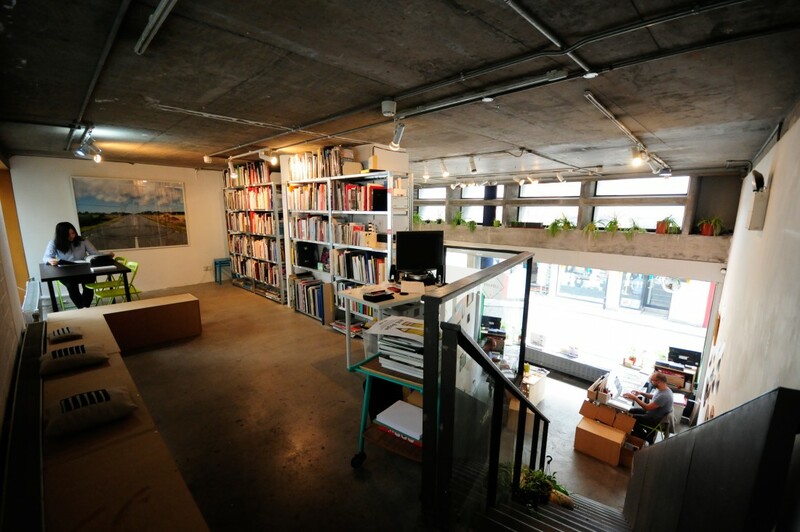 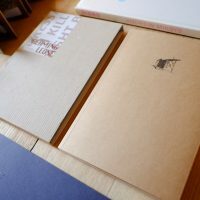 Selected Irish Photobooks at PhotoBook Melbourne. 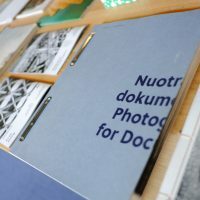 Kindly invited by Photobook Melbourne’s Director, Heidi Romano, we brought The Library Project and Irish Photography to the other side of the world. 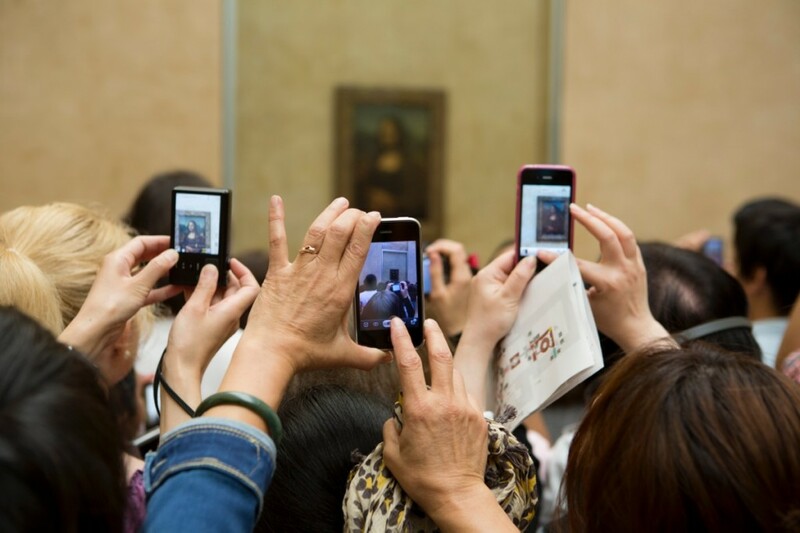 How often do we get such an incredible opportunity? 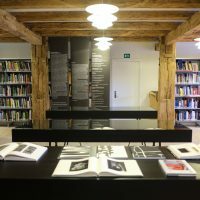 We are ever so thankful to Heidi, who worked so hard to develop the event and offered this unique chance to visit and exchange information, experiences, and of course, books. 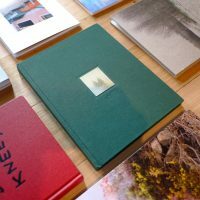 We brought to Melbourne a selection of the best books from The Library Project collection, including the 2014 highlights from Arles, Paris Photo, and Kassel, plus a special selection of the best Irish photobooks. 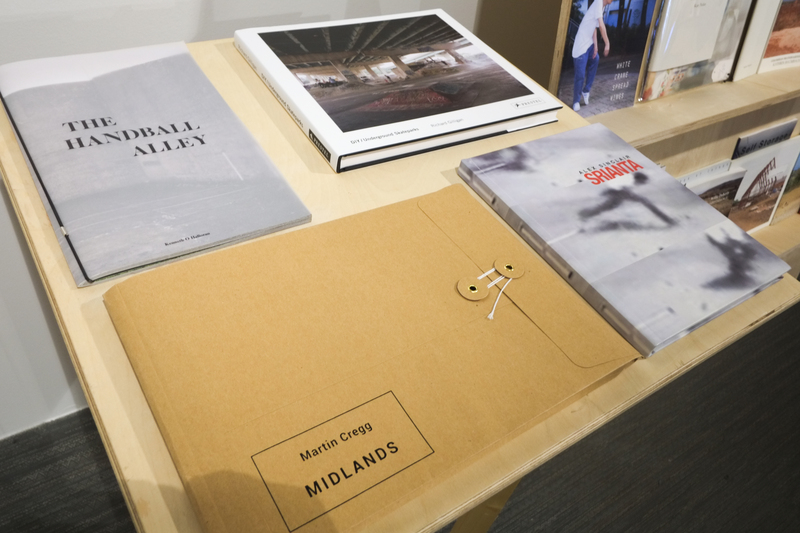 All of these were on display during Photobook Melbourne. 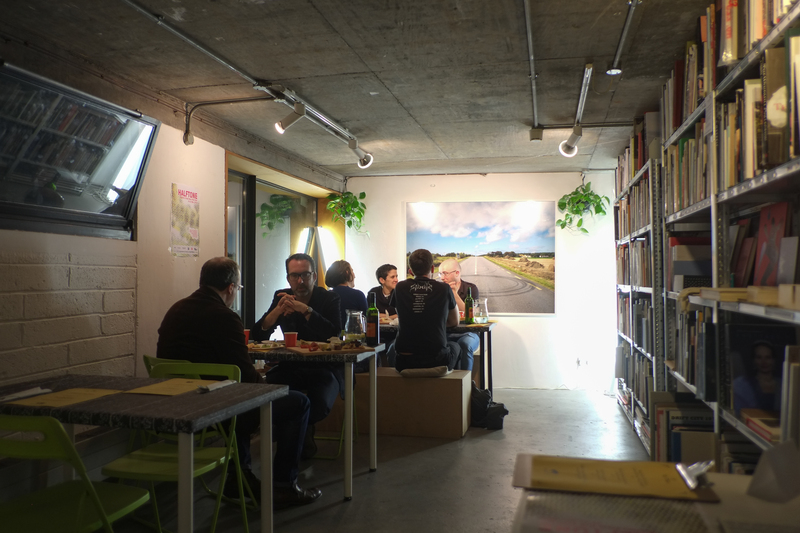 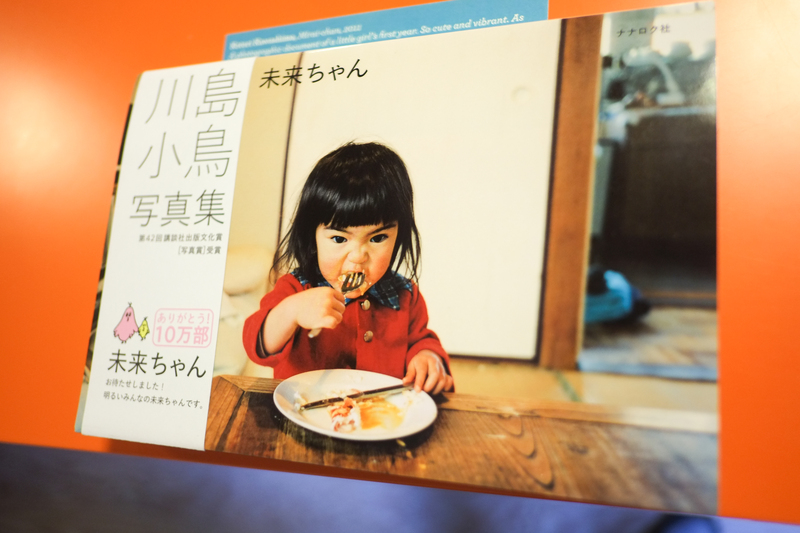 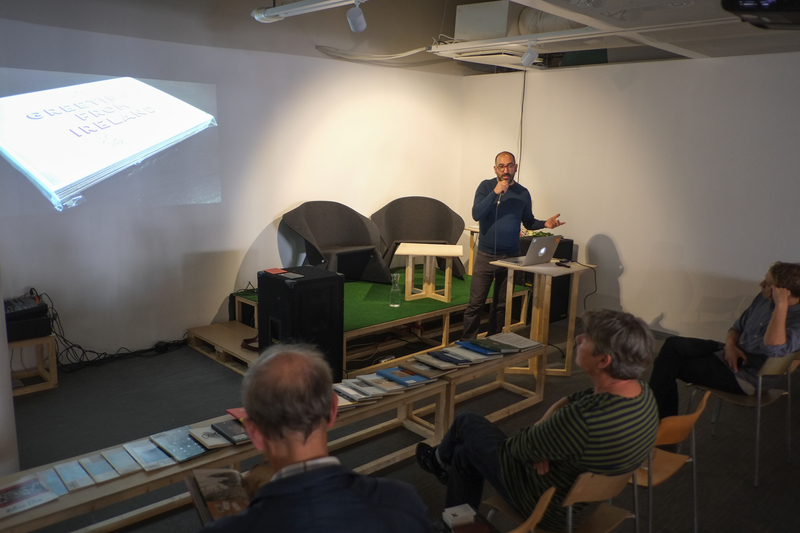 During the event, I joined a panel discussion on photobook publishing chaired by Harvey Benge, and visited the first Photobook Melbourne Fair at the Centre for Contemporary Photography, and the Asia-Pacific Photobook Archive. 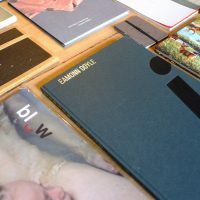 Also, we brought a small selection of Irish produce to Perimeter Books, and discovered a wealth of artists and photobooks, some of which are now part of The Library Project collection. 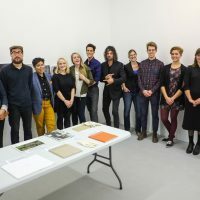 No doubt this was a productive visit that later propitiated projects with Claire Monneraye, Katrin Koenning, and Daniel Boetker-Smith for PhotoIreland Festival 2015. 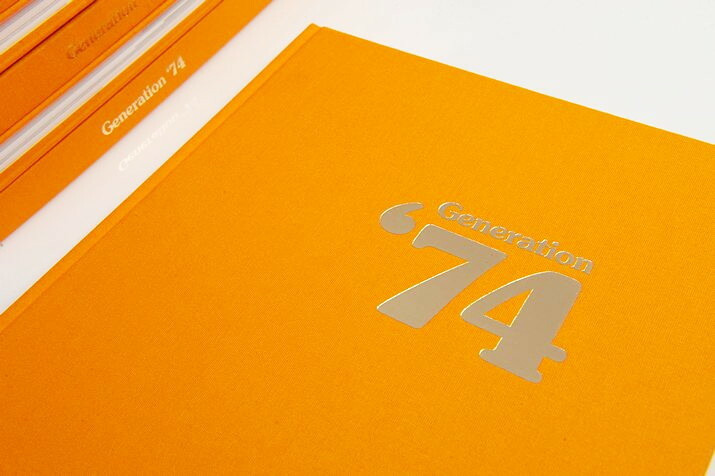 Designed by Ángel Luis González, the book Generation ’74 was launched in March 2015, presenting works by 11 photographers born in 1974, and including an introductory text by Irina Chmyreva (PhotoVisa). 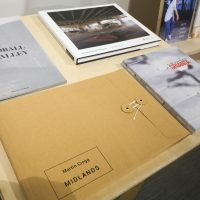 The photographers Simon Roberts (UK), Nick Hannes (Belgium), Kirill Golovchenko (Ukraine/Germany), Przemyslaw Pokrycki (Poland), Tomáš Pospěch (Czech Republic), Mindaugas Kavaliauskas (Lithuania), Vitus Saloshanka (Belarus/Germany), Gintaras Česonis (Lithuania), Borut Peterlin (Slovenia), Pekka Niittyvirta (Finland), Davide Monteleone (Italy). 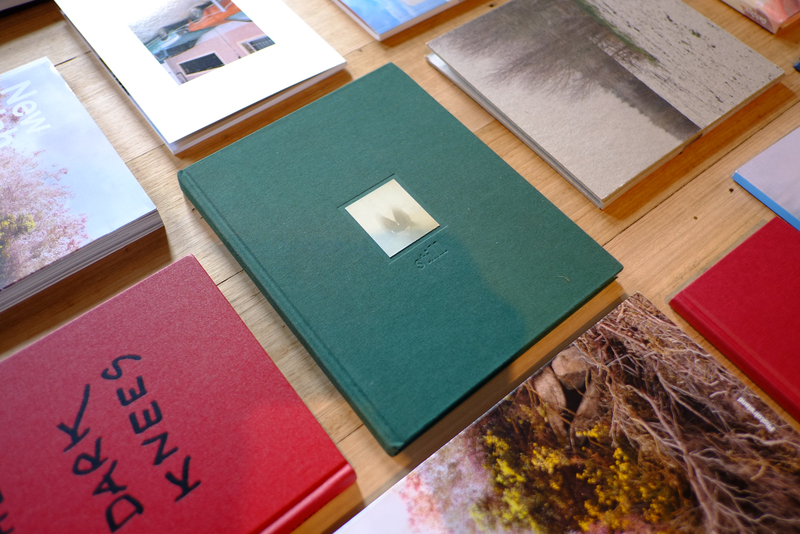 You can buy it online or at The Library Project in Temple Bar, Dublin 2. 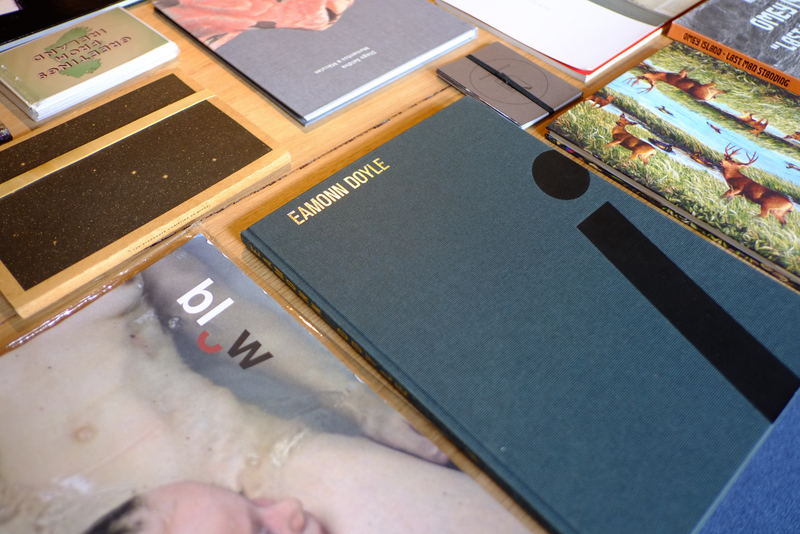 Other books designed by Ángel Luis González include David Farrell’s The Swallowing Tree, and Miriam O’Connor’s The Legacy Project. 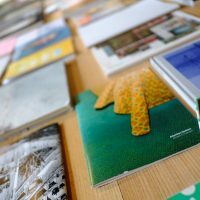 In March, Ángel was invited to join the Format 15 Festival portfolio reviews team, to discover and support great new work, and brought back great photobooks for The Library Project collection. 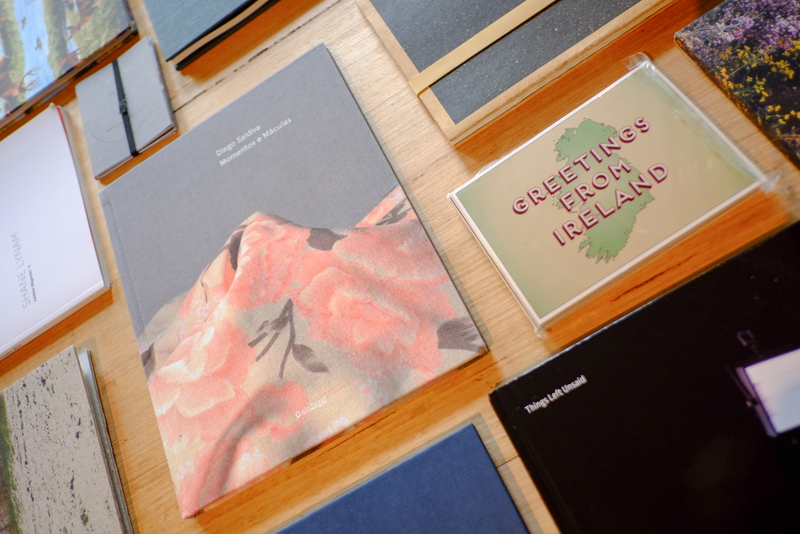 It was a long and public process and finally this year we constituted PhotoIreland’s Board of Directors. 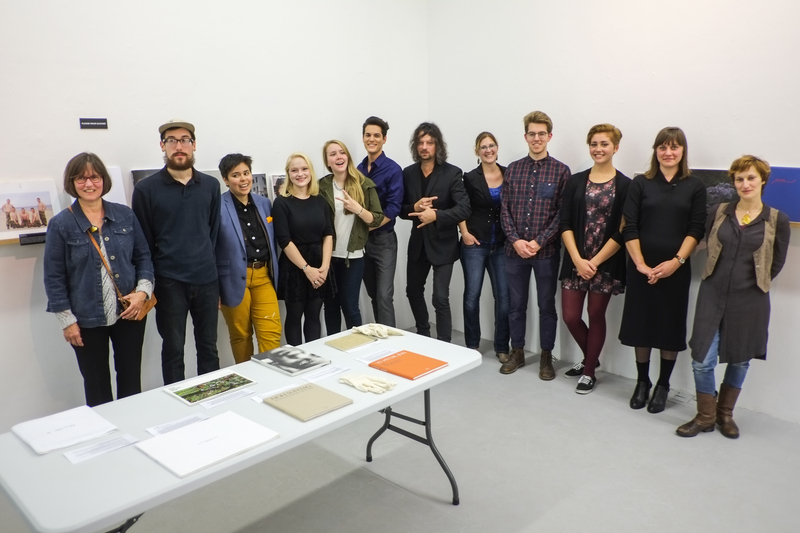 The board was presented as follows: Moritz Neumüller (Chair), Justin Carville, Martina Cleary, David Kronn, Michelle Dunn Marsh & Karen McQuaid. 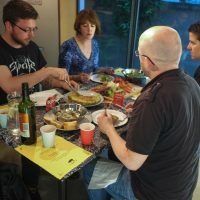 An Advisory Board was established too with members Valerie Connor, Donall Curtin, Maurice Gunning, Catherine Legras, Karin O’Conor & Jennie Ricketts. 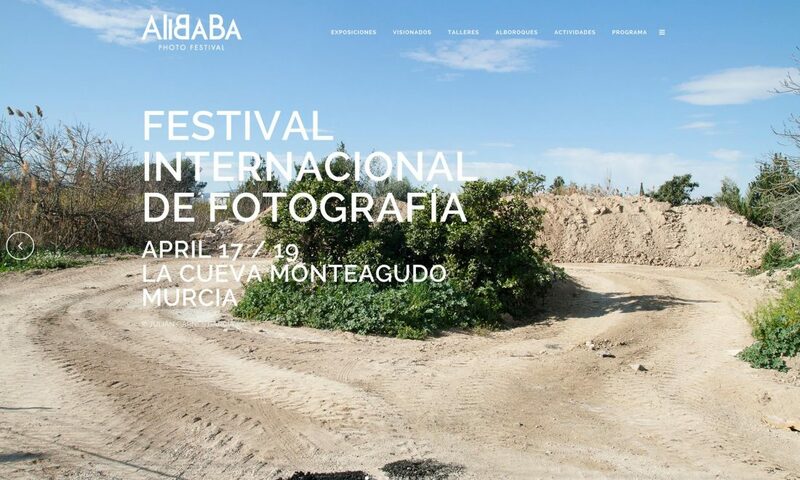 We joined the first edition of Alibaba Photo Festival, celebrated in Murcia, Spain, intrigued about this new festival. 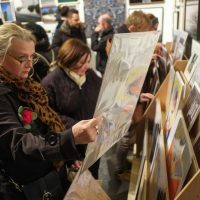 The event is a great example of how to develop a festival in the rural context, engaging with all possible local partners, and offering a great selection of exhibitions and ancillary events like portfolio reviews sessions, talks and presentations. 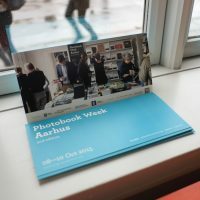 PhotoIreland is acting partners of a very interesting European Art project under the name of Flâneur – New Urban Narratives, involving 12 organisations from 10 European countries. 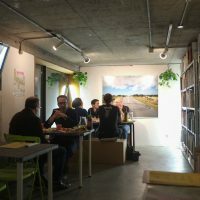 The project encourages photographers and writers to explore the urban territory with a new approach to enable a fresh look on the dynamics of European cities and their geographic and social landscapes. 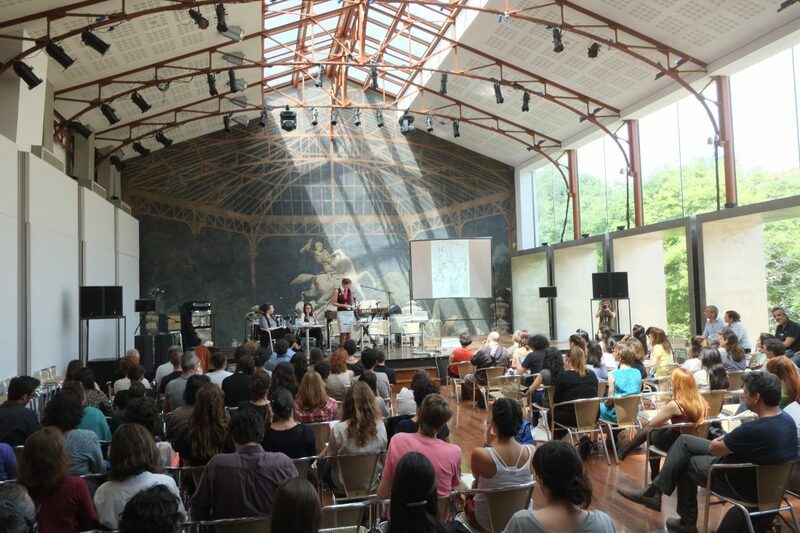 Launching this initiative, a conference was held in Lisbon to engender a discussion between academics, artists and curators, articulated in three discussion panels throughout one full day. 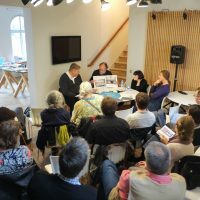 The Flâneur project partners took the opportunity to meet up and work together, face to face, on the development of this European project. 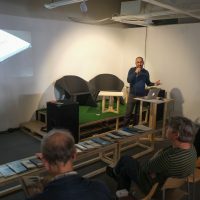 This meeting, the first one held in person, it was a milestone in the process, and evidenced the ambition of the project. 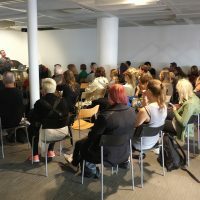 On Friday 15th May, Ángel joined the VAI speed curating team for the first time, at the Irish Museum of Modern Art. 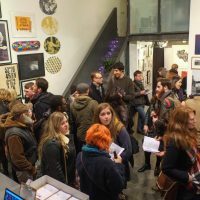 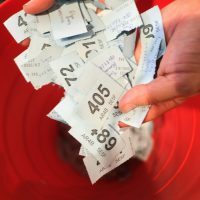 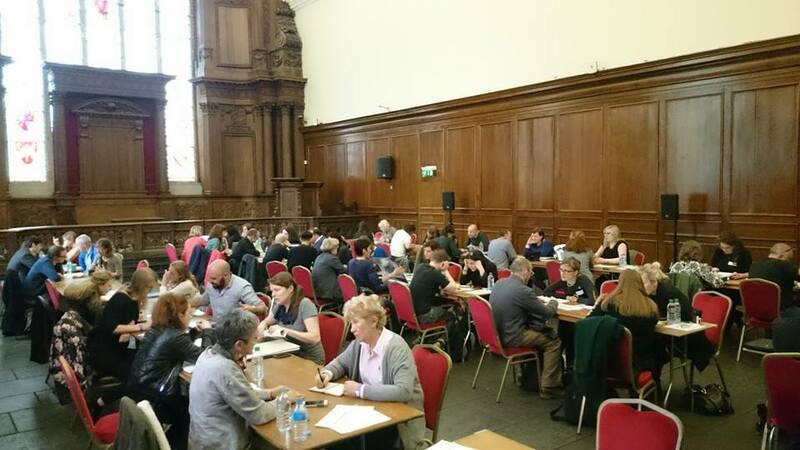 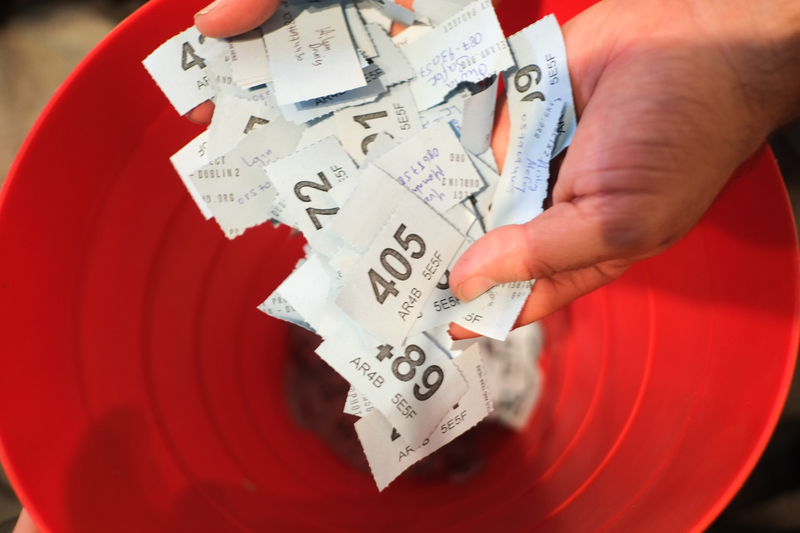 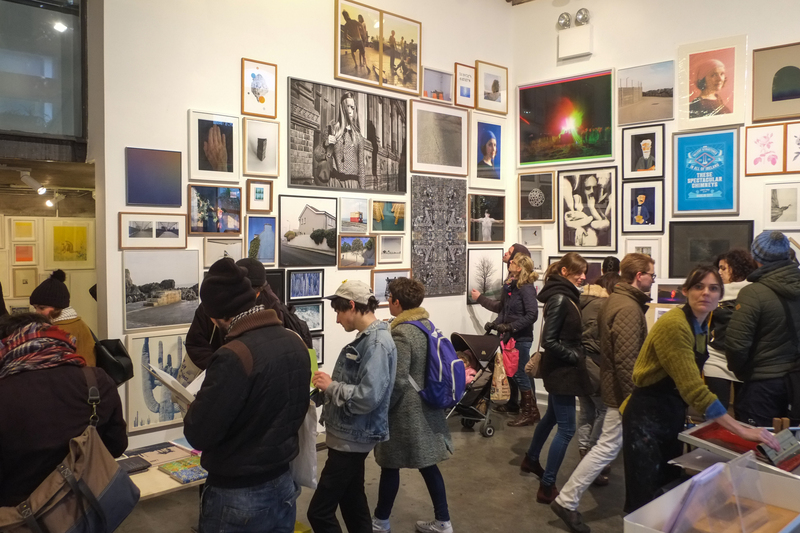 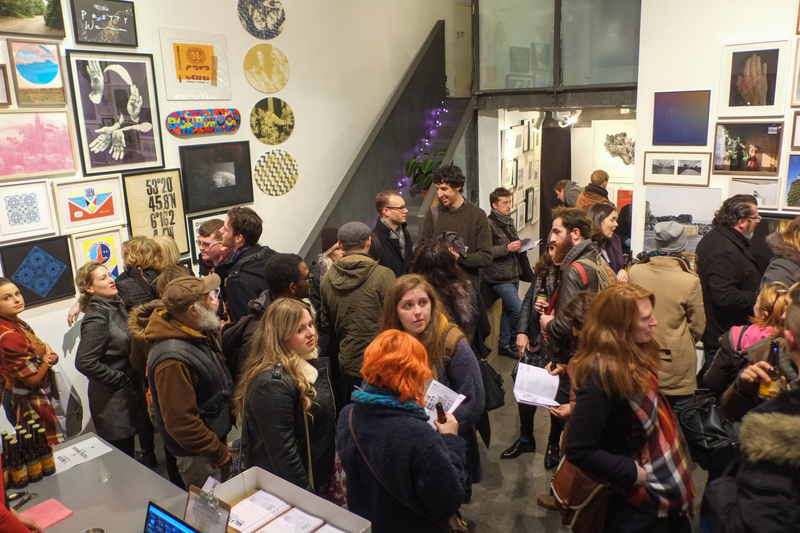 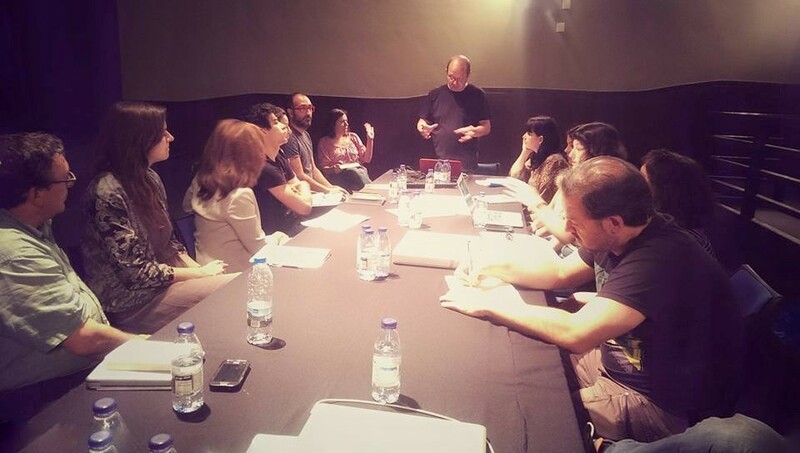 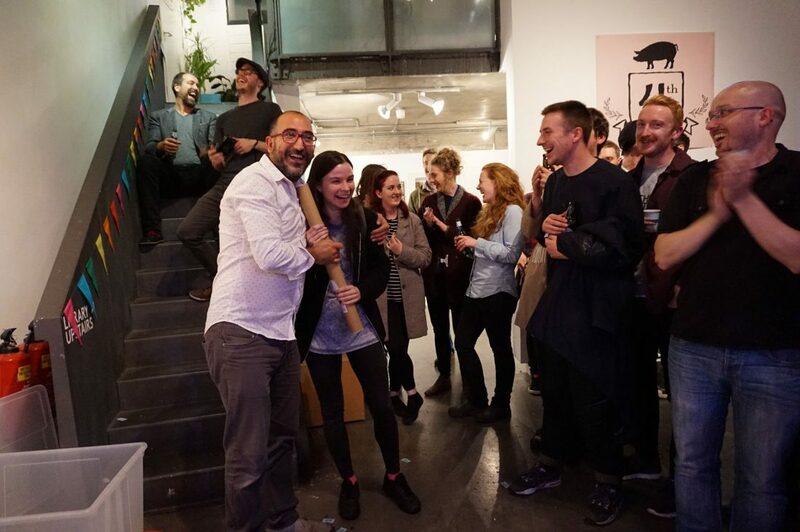 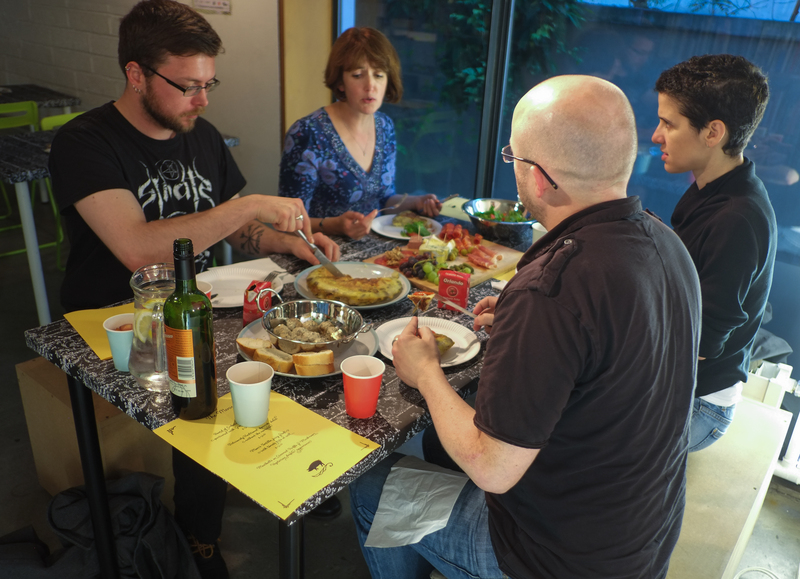 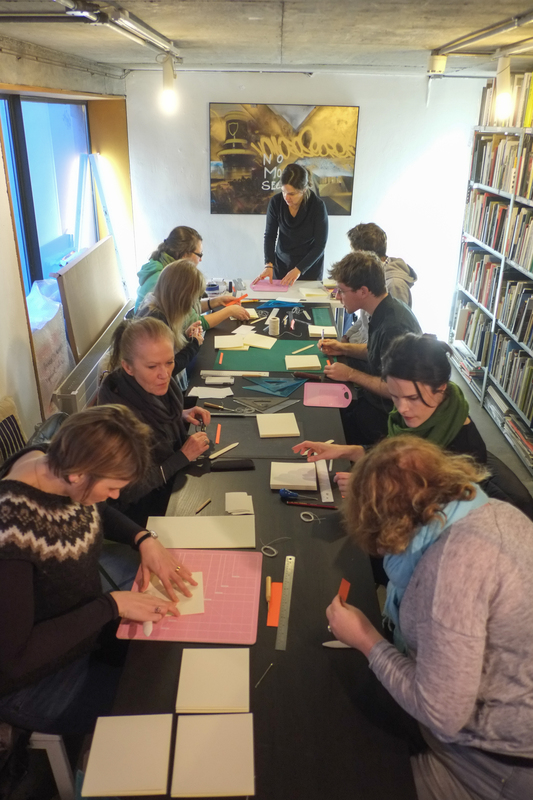 The event is programmed every year as part of the Get Together 2015, and it is a portfolio review of sorts where artists seek support and feedback on current projects or their practice. 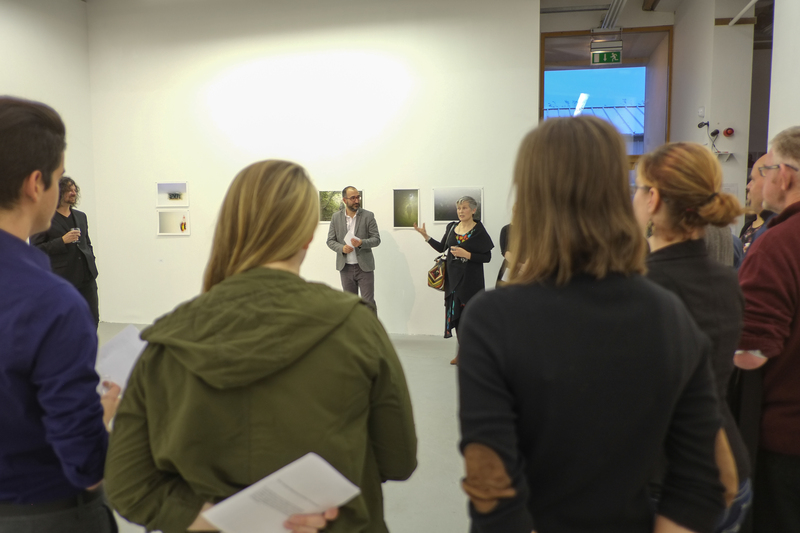 It was a great chance to engage with artists from a diversity of backgrounds, and an experience we highly recommend it to all photographers. 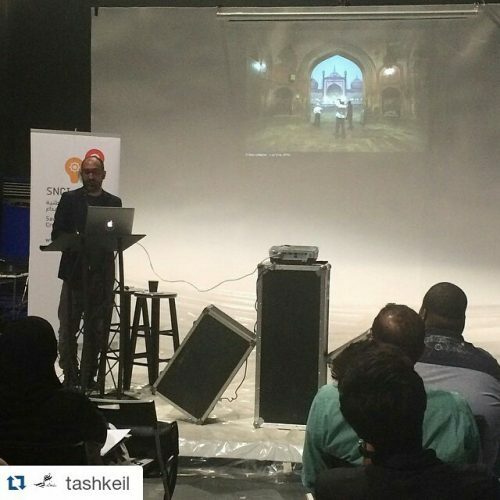 Another unique opportunity this year, this time in Saudi Arabia. 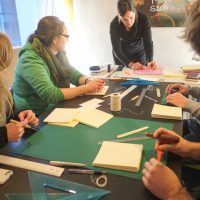 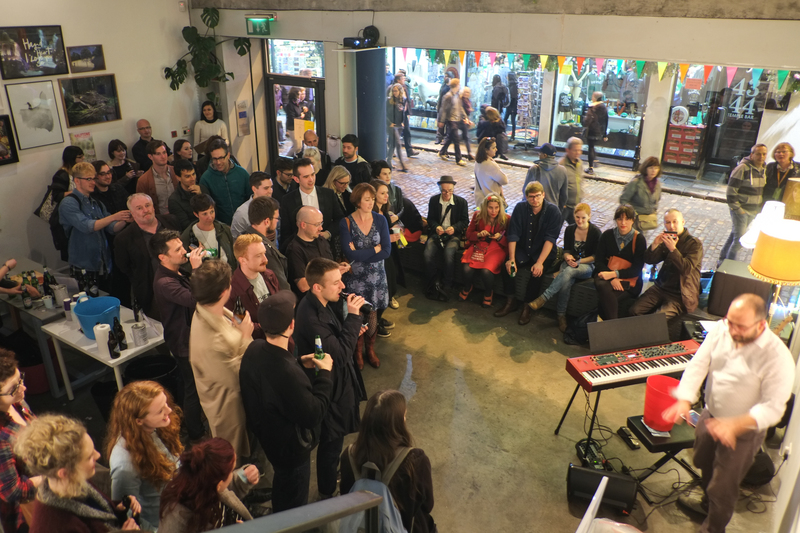 The organisers brought together a week-long multidisciplinary creative meeting for the local creative community. 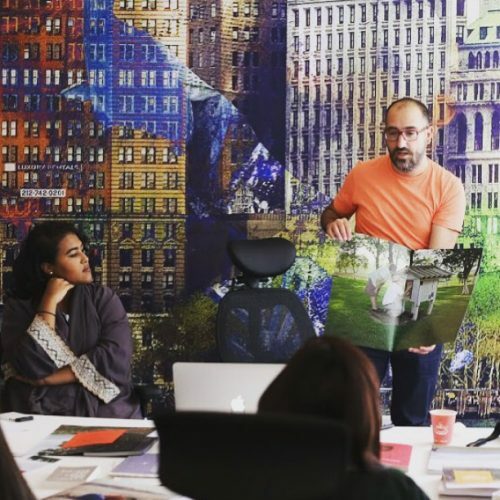 Three international experts were invited in each event to interact with professionals from one of the local creative sectors. 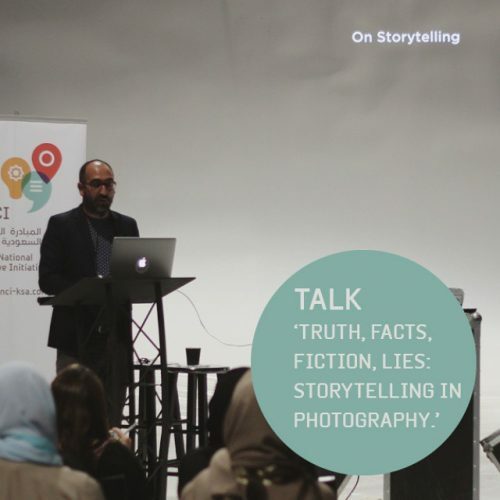 We participated with a conference entitled ‘On Storytelling’, followed by a two days workshop on storytelling strategies, at the Silkdeer Entertainment Building in Jeddha, Saudi Arabia. 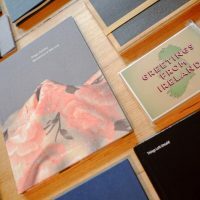 We brought with us a selection of Irish photobooks and the Greetings from Ireland postcards. 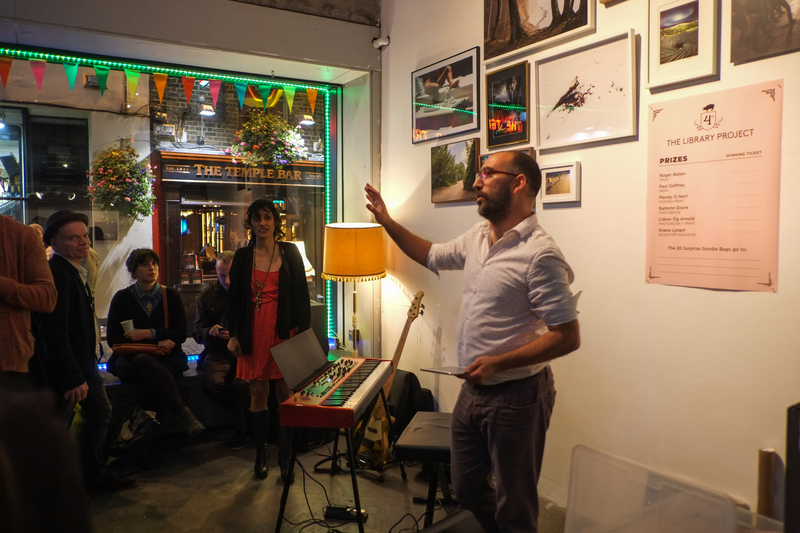 This young Irish fella won an award no other Irish won before, MACK Books’ First Book Award and we wanted to celebrate it at The Library Project. 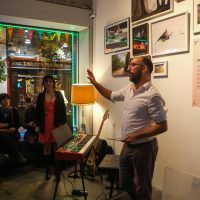 Entitled after a poem by Bukowski, ‘I went to the worst of bars hoping to get killed. 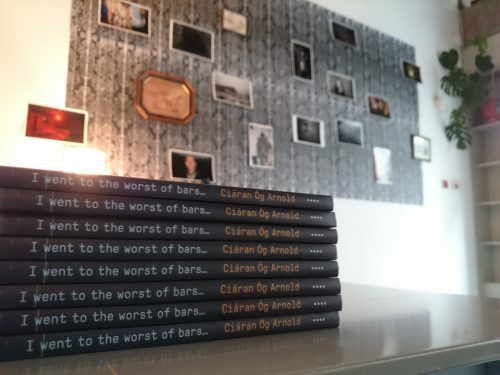 but all I could do was to get drunk again’ is a diary of sorts, following men down piss alleyways and into empty bars. 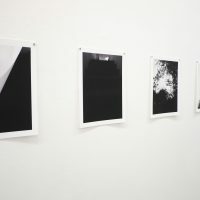 The photographer accompanies the seekers of oblivion, their lopsided faces caught between ecstasy and apathy, their mouths chasing after the numbness of inebriation. 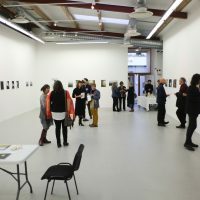 Ciarán Óg exhibited his works at the Media Space, London, between April and June 2015, as part of the award. 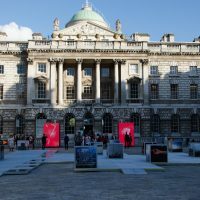 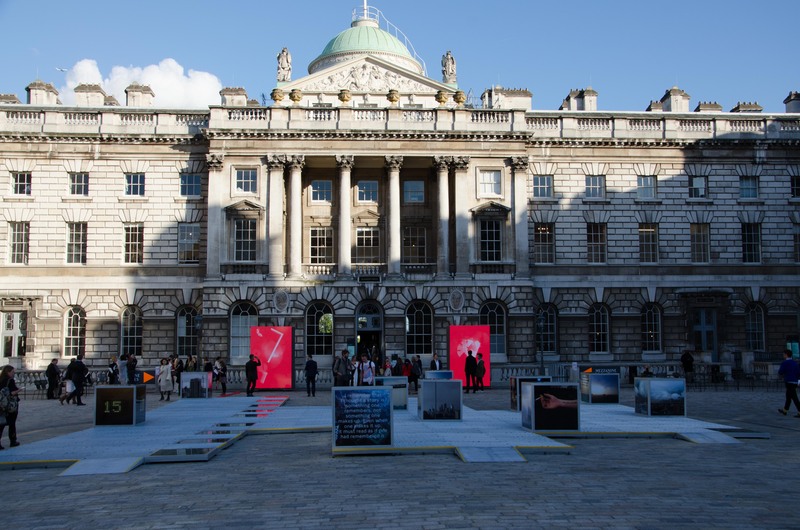 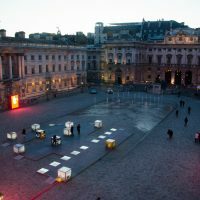 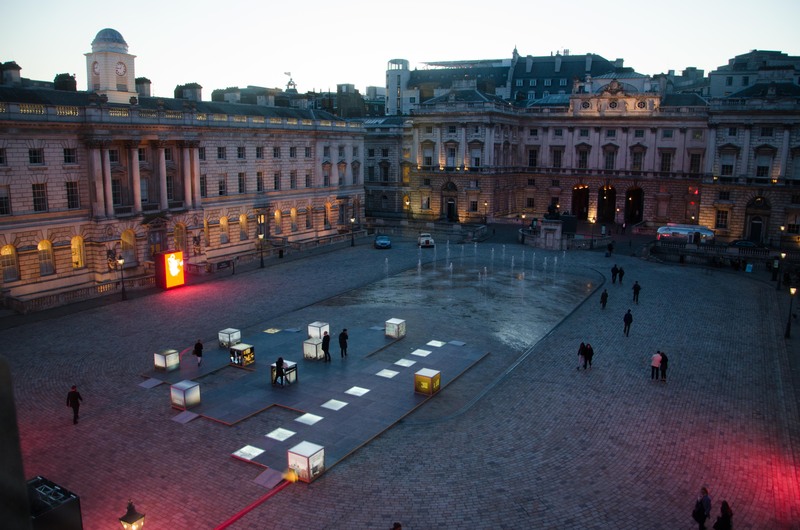 The Flâneur project took part on Photo London with an exhibition of works by Rut Blees Luxemburg at Somerset House’s Courtyard. 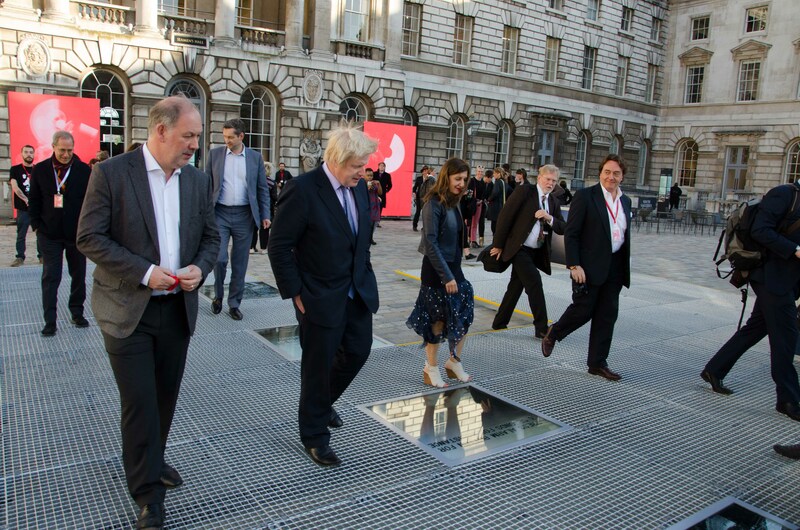 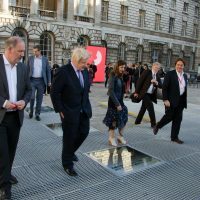 During the launch, Boris Johnson, Mayor of London, visited the installation. 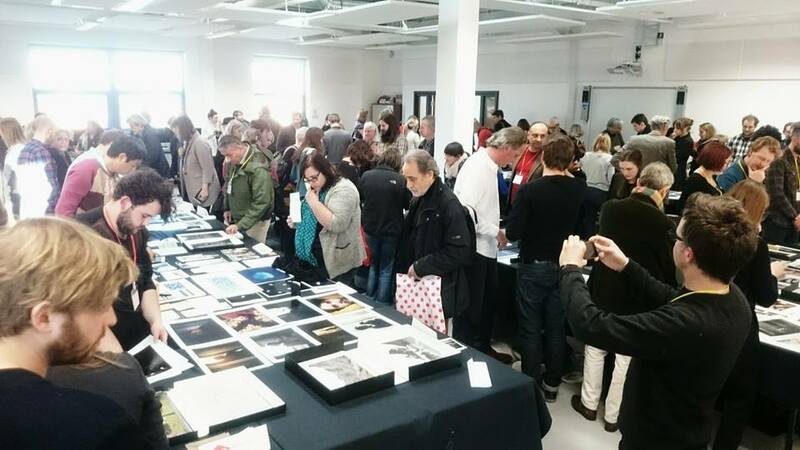 Invited as portfolio reviewer at Fotobook Festival Kassel 2015, PhotoIreland’s Director Ángel Luis González joined the team of 24 experts and Kassel, Germany. 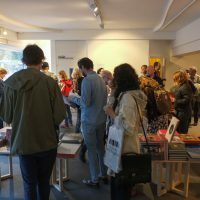 Two Irish photobooks were shortlisted this year, Aisling McCoy’s The Radiant City, and Steven Nestor’s Bellum Et Pax, and one from Northern Ireland, Jan McCullough’s Home Instruction Manual – winner of the Fotobook Festival Kassel Dummy Award 2015. 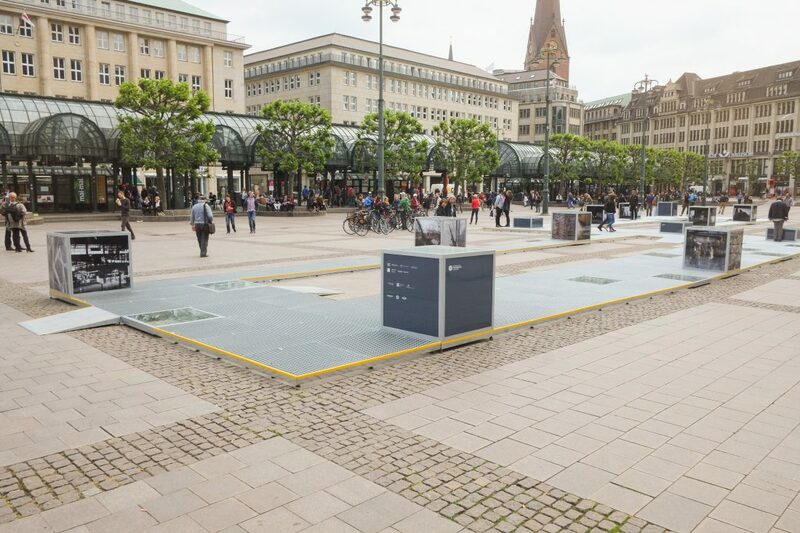 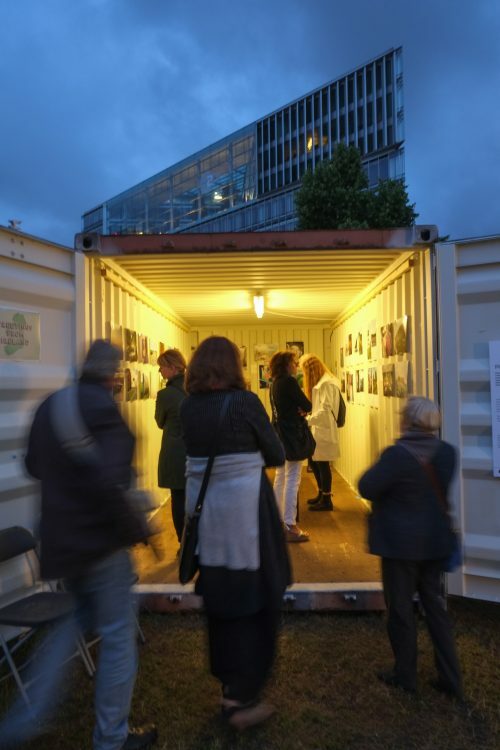 Installed in Hamburg’s main square, the Flaneur project arrived to Germany for the Hamburg Triennial of Photography with works by Giacomo Brunelli and Virgílio Ferreira. 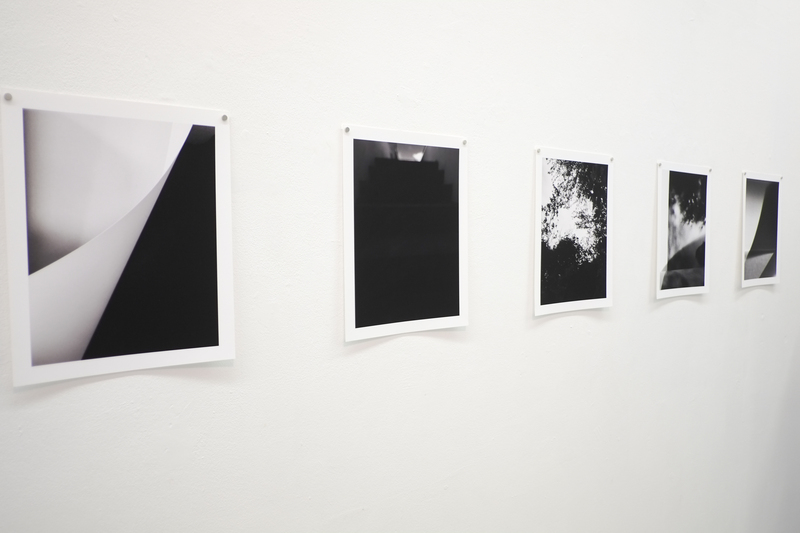 Check the photo gallery online. 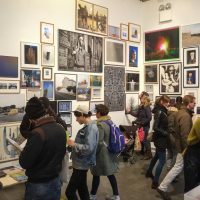 The sixth edition of PhotoIreland Festival arrived in June with a look at a selection of emerging artists from Ireland and abroad, like Dominic Hawgood, Katrin Koenning, Christiane Peschek, and Eamonn Doyle. 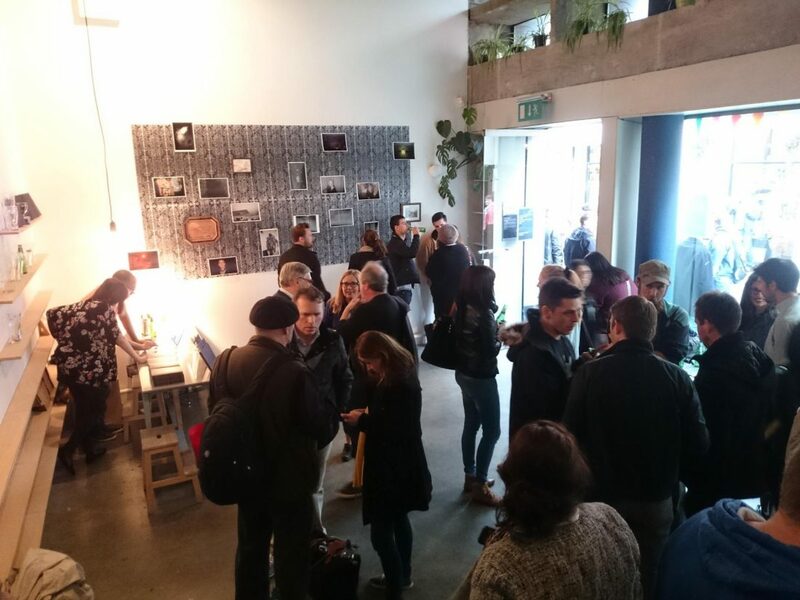 The main events were programmed around the MONTO area, with exhibitions at Oonagh Young Gallery, Artbox and The LAB, shifting the footfall and public attention from Temple Bar to another well-established and vibrant Arts quarter. 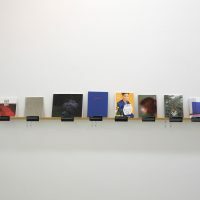 The festival looked at contemporary practices from the Asia Pacific region with two main shows: Island-Australia looked at new Australian work, curated by Claire Monneraye (Australian Centre for Photography), and complemented with a selection of books from the Asia Pacific Photobook Archive; JIGEUM, co-curated by Kyungwoo Chun and Hyosup Jung, presented a sample of practice from South Korea, also complemented with books from The Library Project collection. 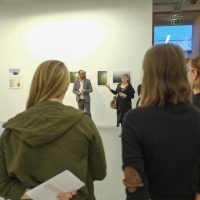 Alongside these shows, the Greetings From Ireland Worldwide, the featured exhibitions, and those part of the Open Programme. 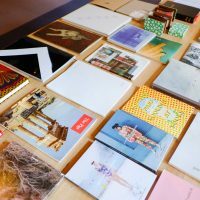 Finally, the Summer Campus, the Portfolio 15: International Portfolio Reviews and the Fotobook Festival Dummy Awards topped the offering. 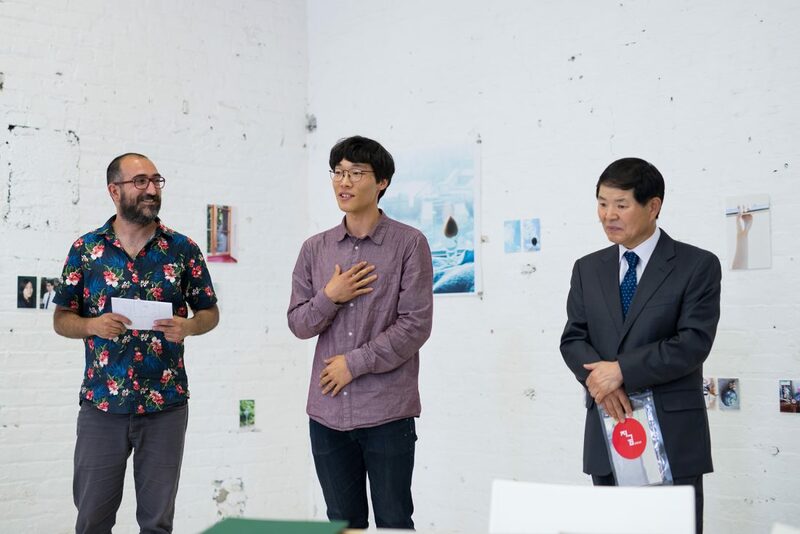 The winner of Portfolio 15, selected by the portfolio reviewers this year, was Youngdon Jung. 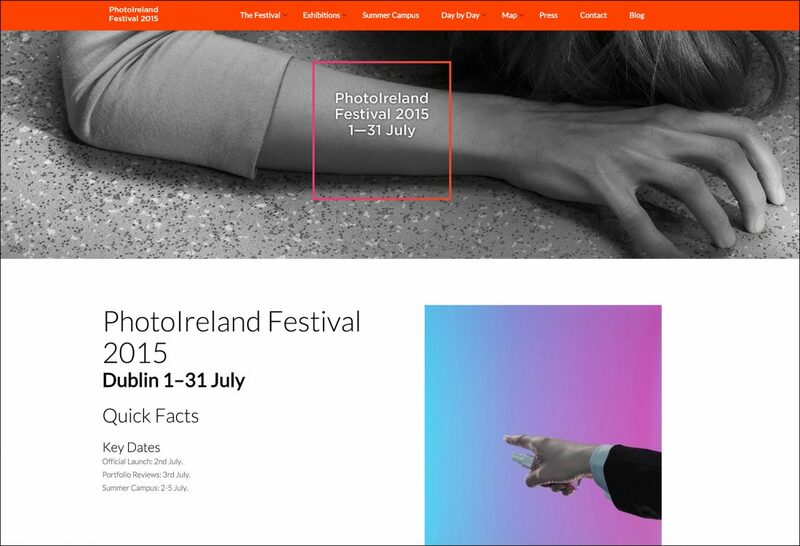 He will be exhibiting at PhotoIreland Festival 2016. 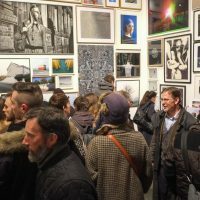 PhotoIreland Festival 2015 was kindly supported by the Arts Council of Ireland, and by the Dublin City Council Arts Office. 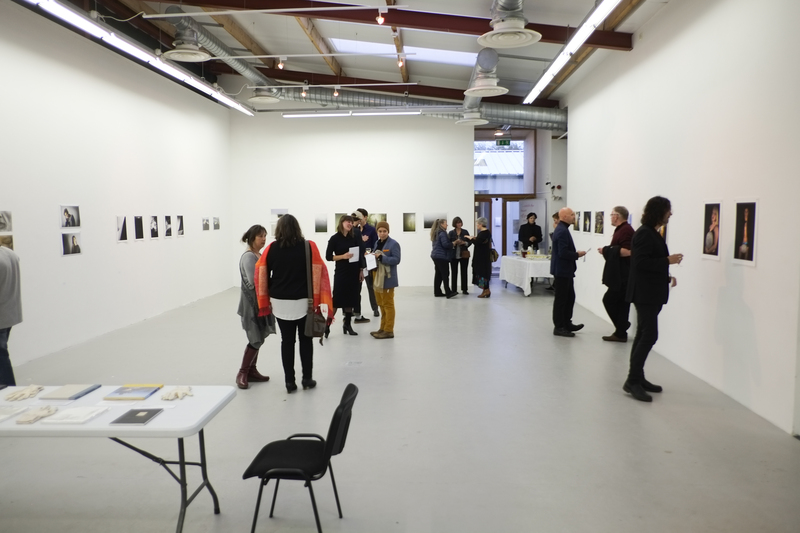 Our main sponsors was The Copper House Gallery, to whom we are very thankful for their continuous support. 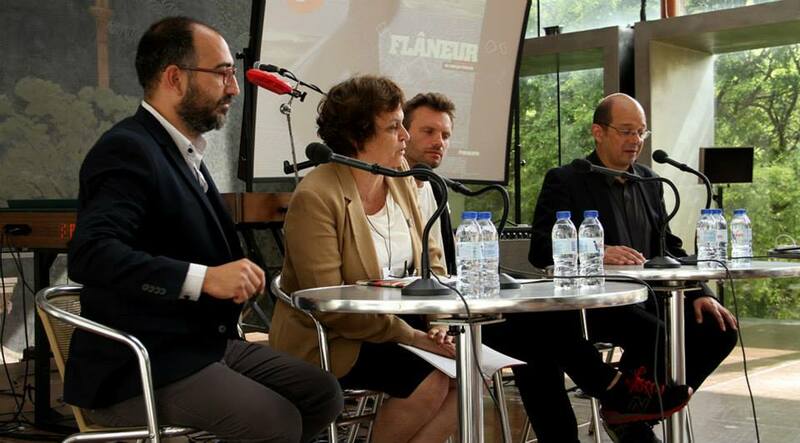 We are also very thankful to all our cultural partners were the Instituto Cervantes de Dublin, Goethe Institut Dublin, Alliance Française Dublin, and the French and Korean embassies. 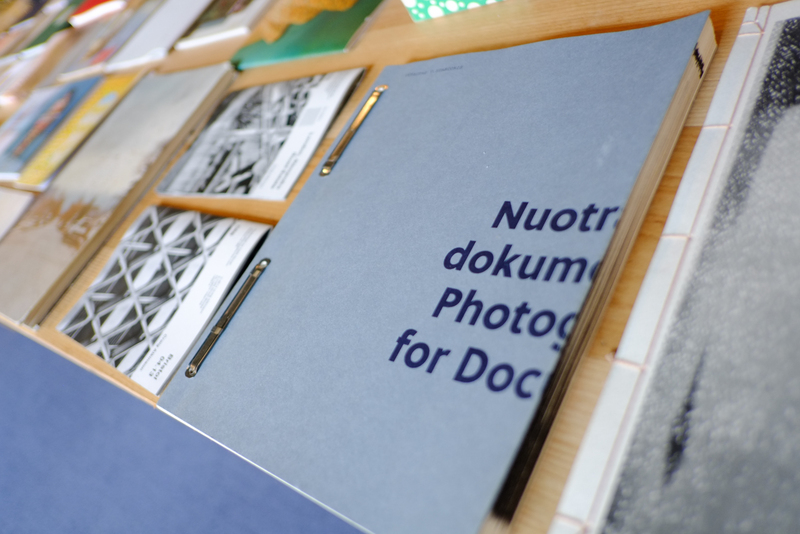 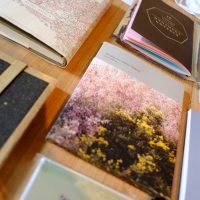 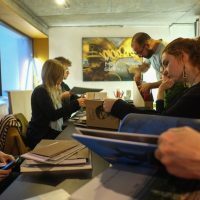 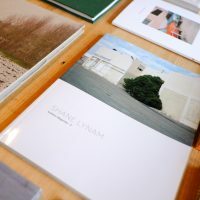 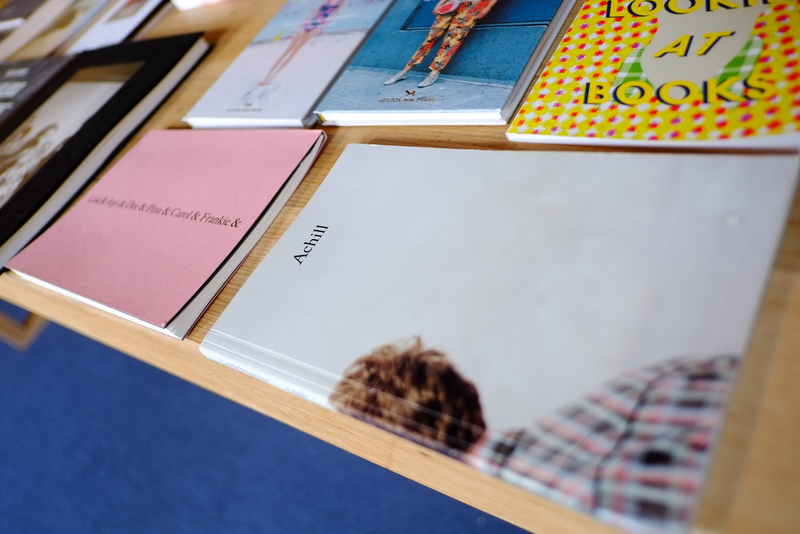 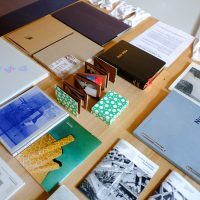 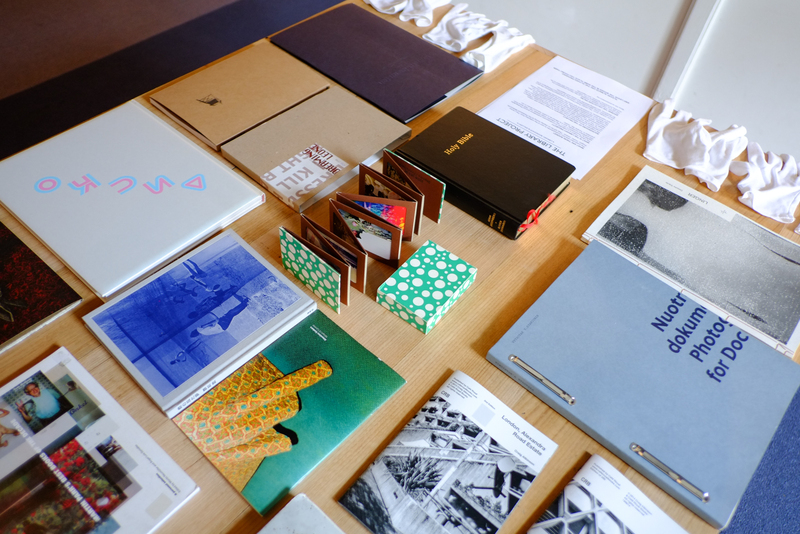 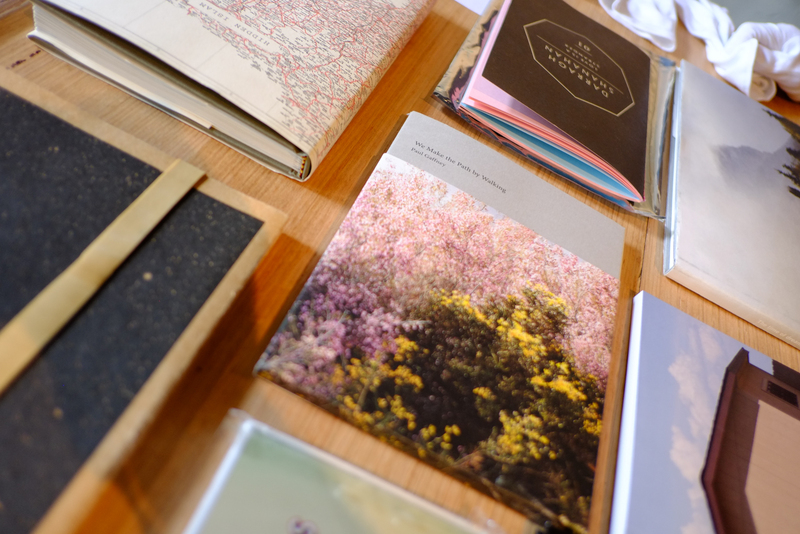 Gothenburg’s first photobook festival Fotobok Gbg took place last September and The Library Project was invited to exhibit a selection of 40 Irish photobooks. 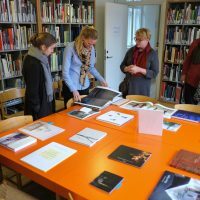 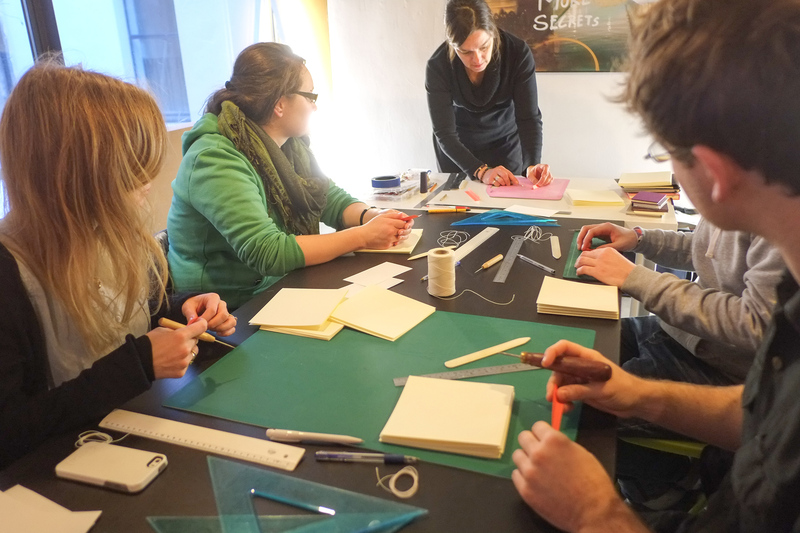 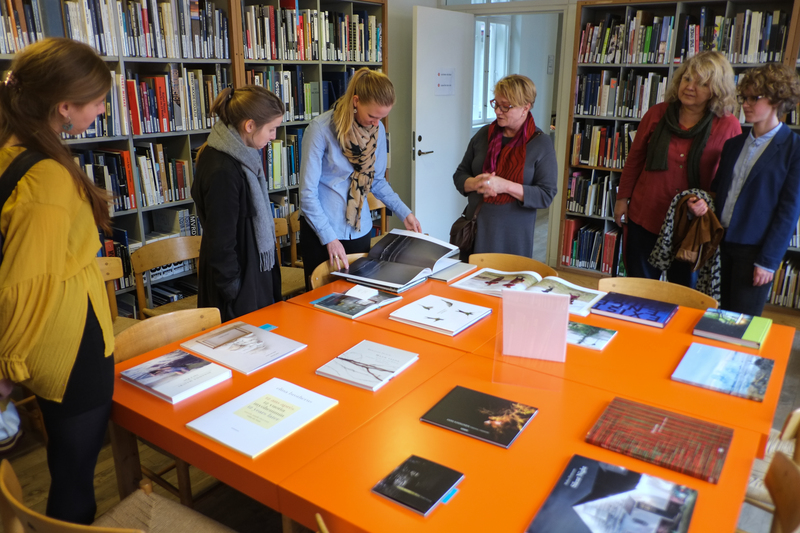 During the visit, we made contact with the Hasselblad Foundation and discovered its rich library. 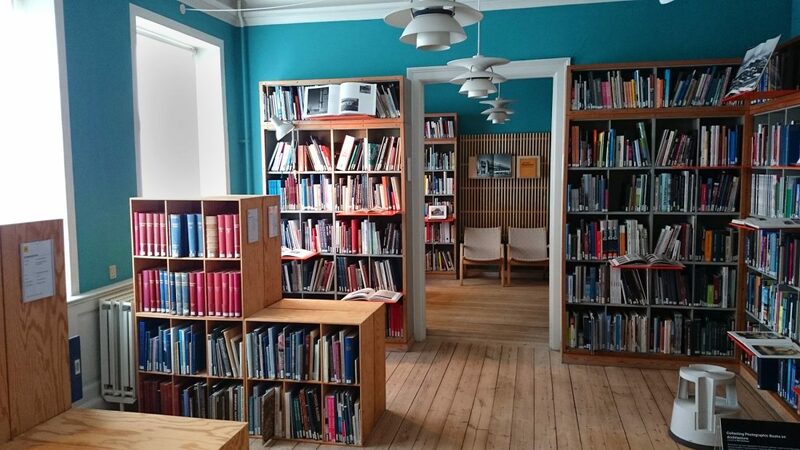 It quickly became apparent that the funds of thier library were missing a lot of important Irish names. 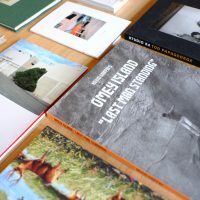 We put out a call for photographers to donate a copy of their books to the Hasselblad Foundation library, and in December 2015 we shipped a selection of 20 Irish photobooks to Sweden. 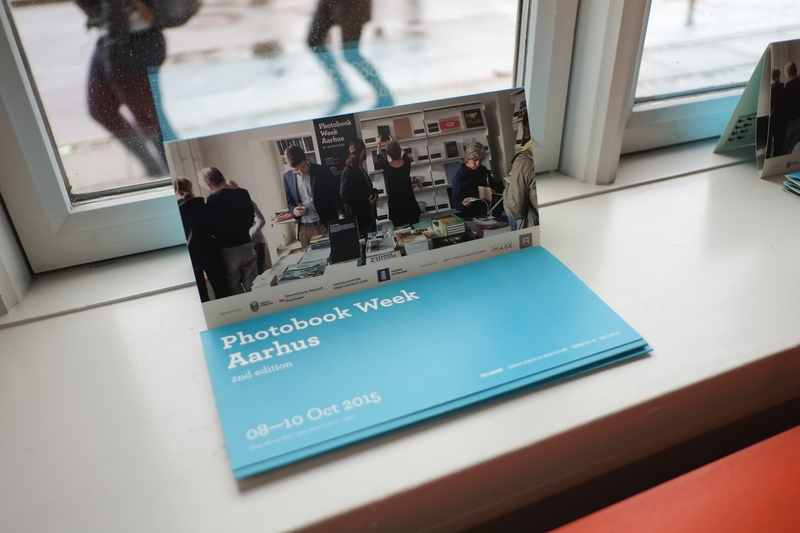 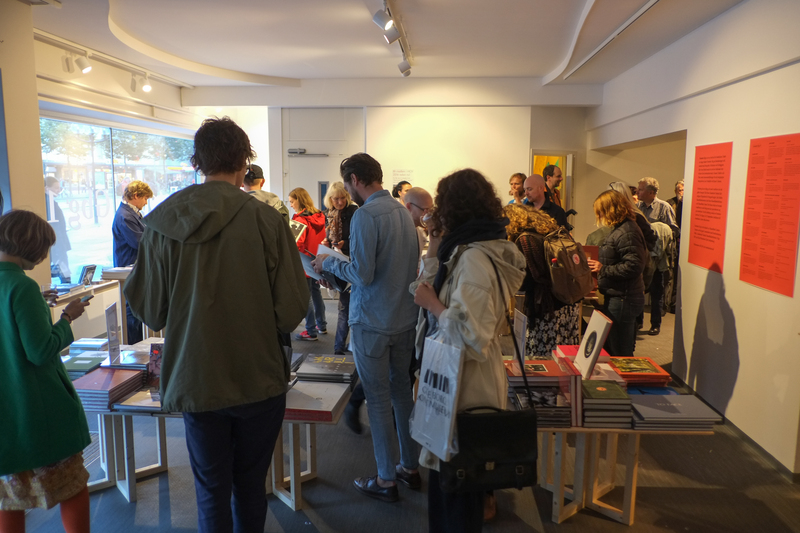 After its first visit to Sweden, the collection later traveled to Denmark, where it joined the Photobook Week Aarhus 2015. 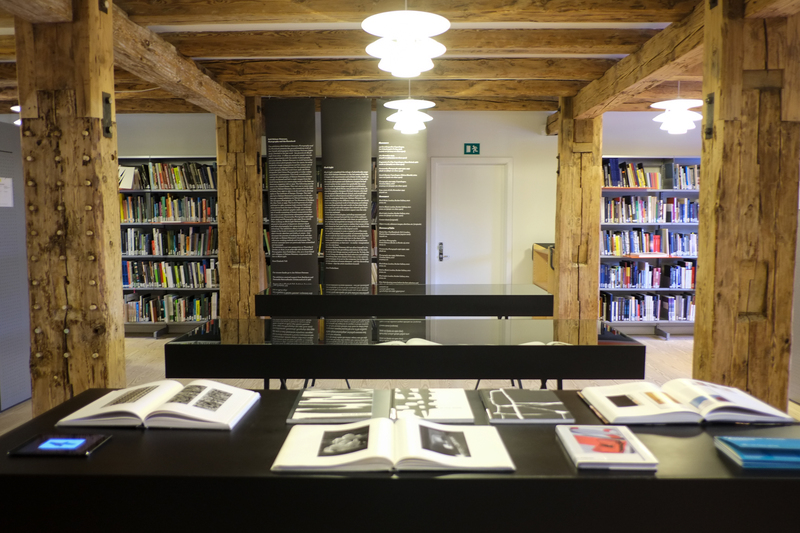 The books were displayed at the gorgeous Library of the Aarhus School of Architecture. 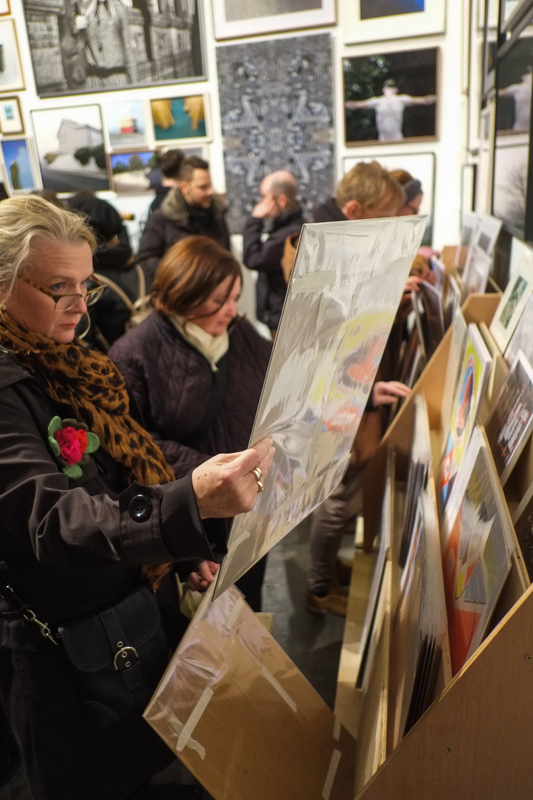 The show in Aarhus was complemented with some of the latest international arrivals to the collection, like Ron Jude’s Lago, Carlos Spottorno’s Wealth Management, or Daniel Gordon’s Still Lifes, Portraits & Parts. 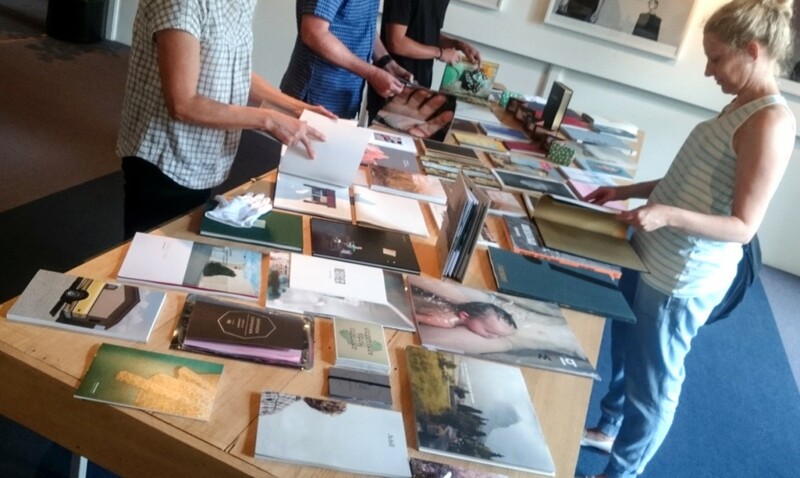 For the month of October, The Burren College of Art hosted our Korean Photobook Collection: a spectacular representation of contemporary photobooks from the region. 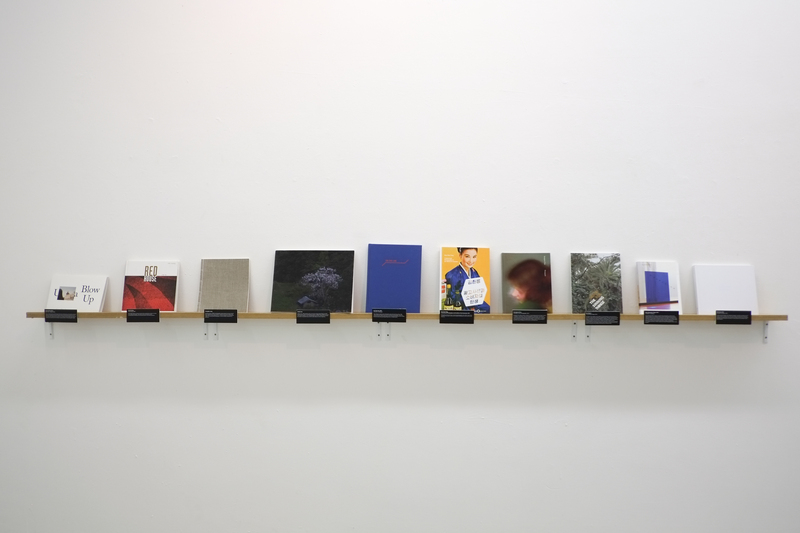 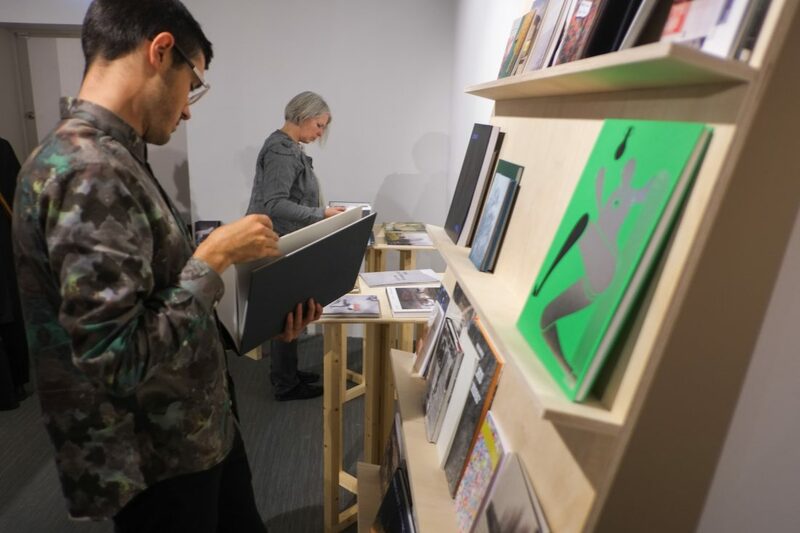 The exhibition included visual responses to the Korean photobooks by BCA students, created during a Master Class with visiting photographer Andrew Miksys. 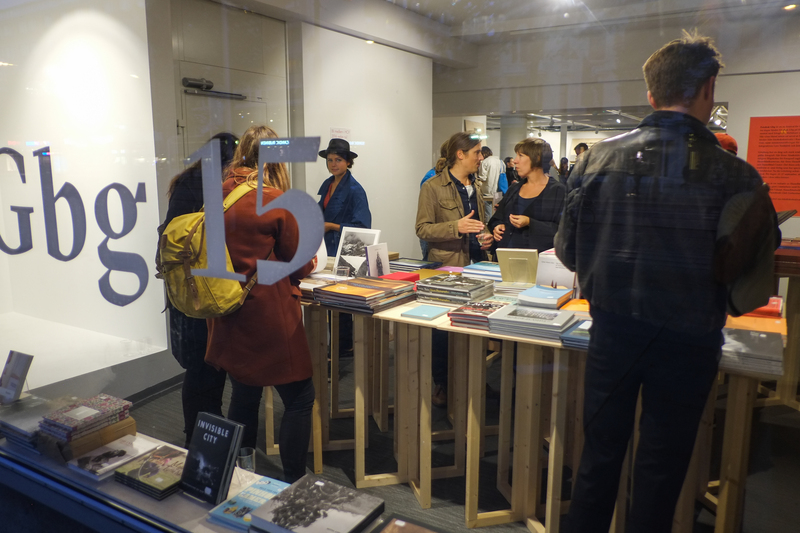 Last october, we celebrated the 4th anniversary of The Library Project. 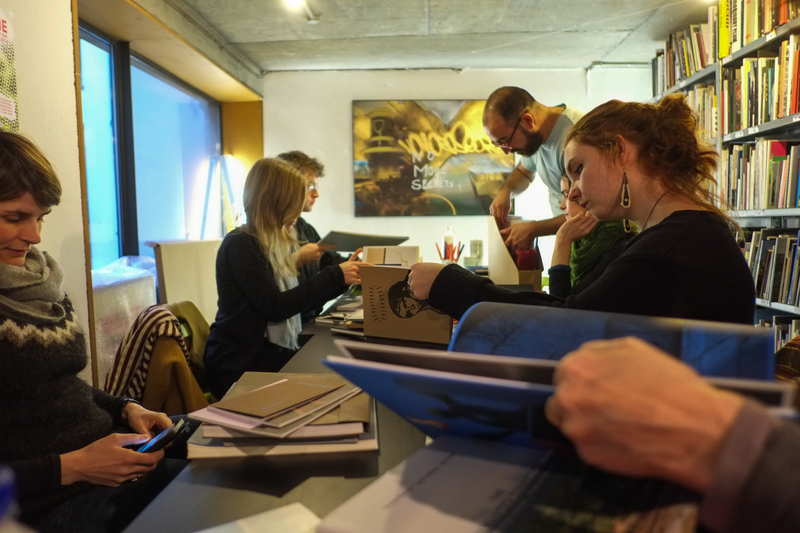 It is quite impressive how much has been achieved during this period, with the kind support of so many people. 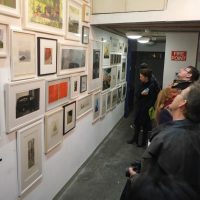 The celebration included live music by Cian Boylan on the piano and Charlie Foley on the double bass, a generous raffle of prints and much sought-after photobooks, and even a restaurant in the library area. 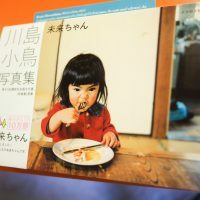 It was fun! 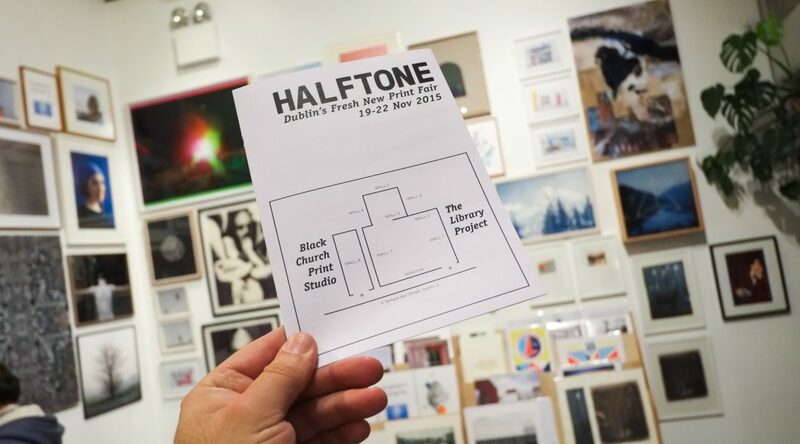 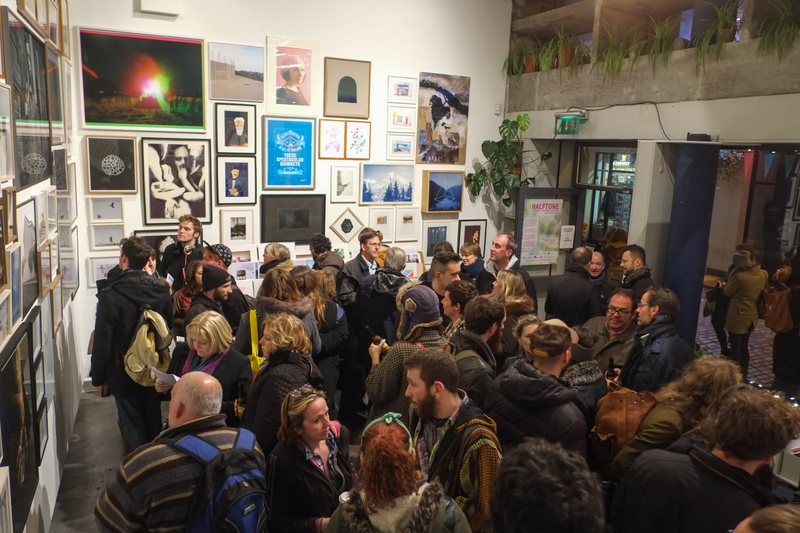 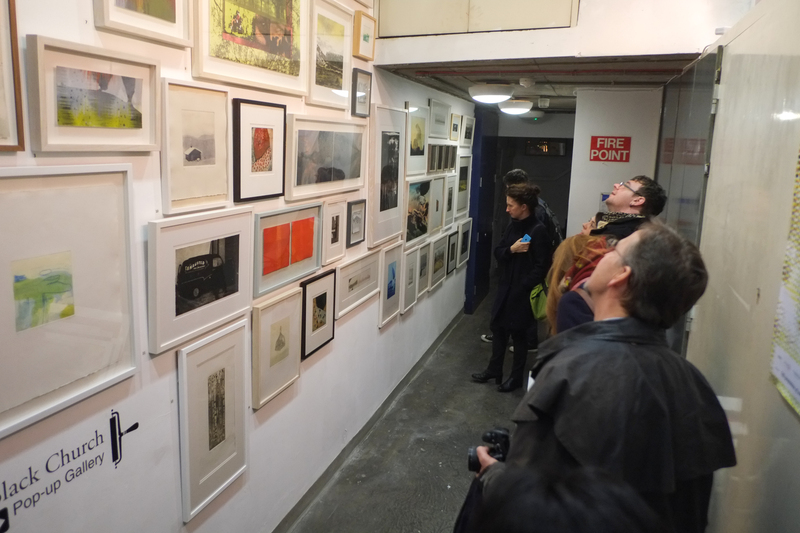 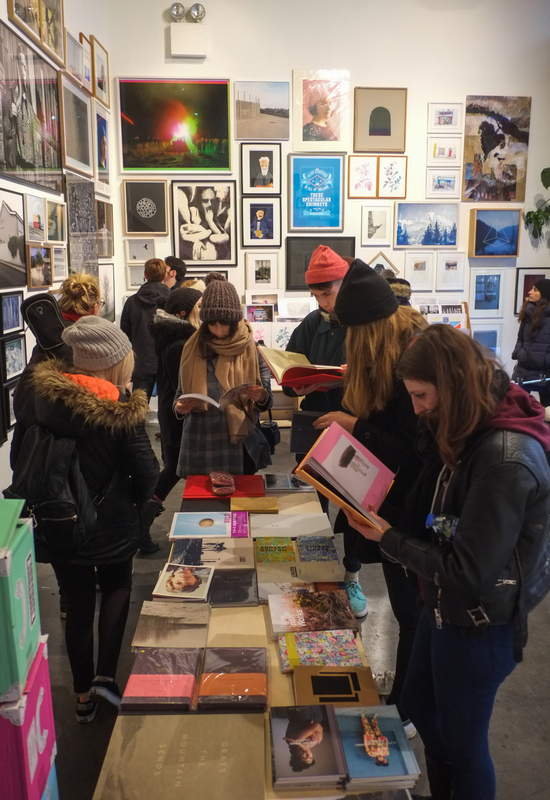 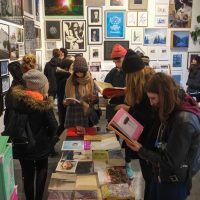 HALFTONE: DUBLIN’S FRESH NEW PRINT FAIR. 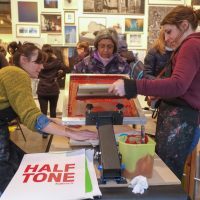 As it says on the tin, HALFTONE was born fresh, as a fair that would highlight recent prints by local and international artists working in any discipline. 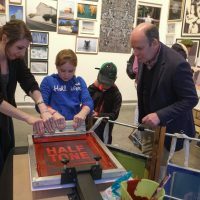 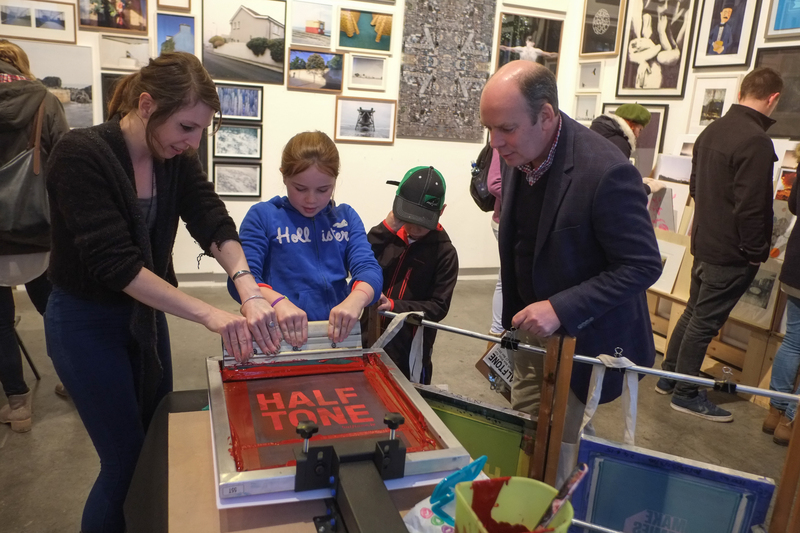 HALFTONE is an initiative by PhotoIreland, in collaboration with Black Church Print Studios and the support of Temple Bar Company, Dublin City Council & Fáilte Ireland. 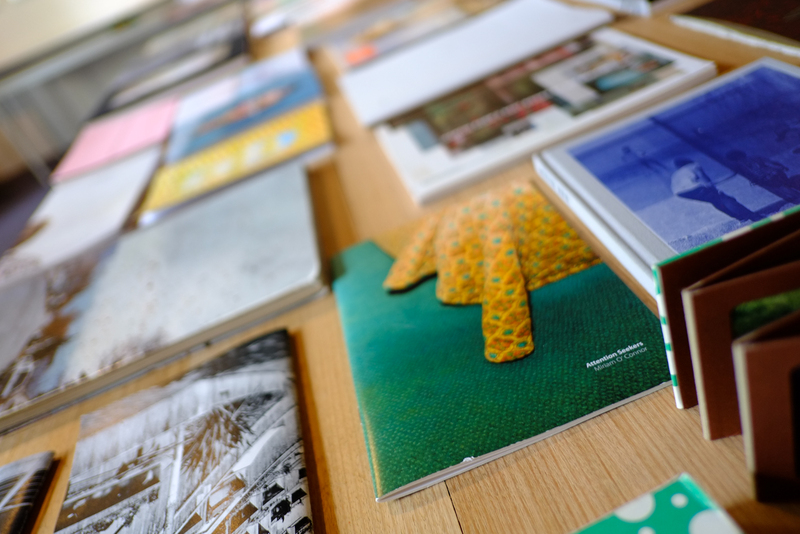 This first edition offered a very appetising list of works, over 150 in total, by 70 artists. 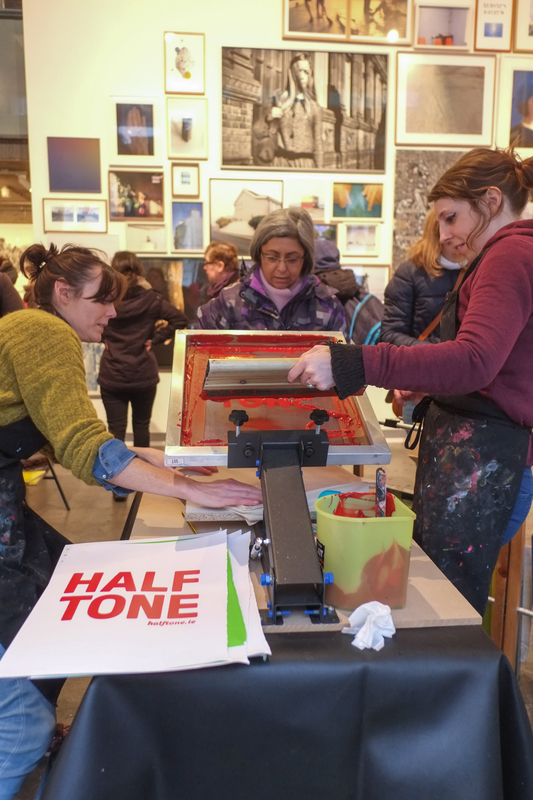 The workshops and demonstrations topped the bill, inviting everyone to participate. 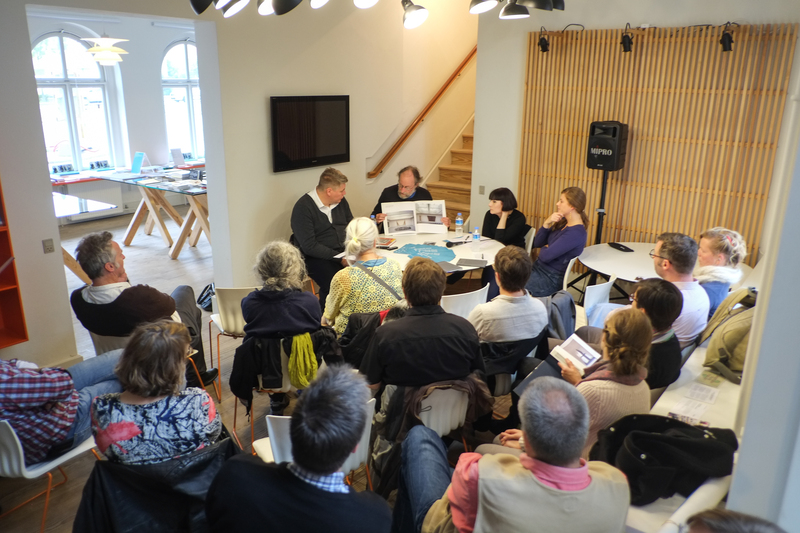 So successful that there will be a second edition in 2016, that is for sure! 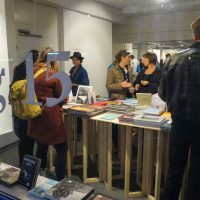 In 2015, The Library Project continued offering a very busy programme of exhibitions and events, engaging with a diverse array of artists and organisations. 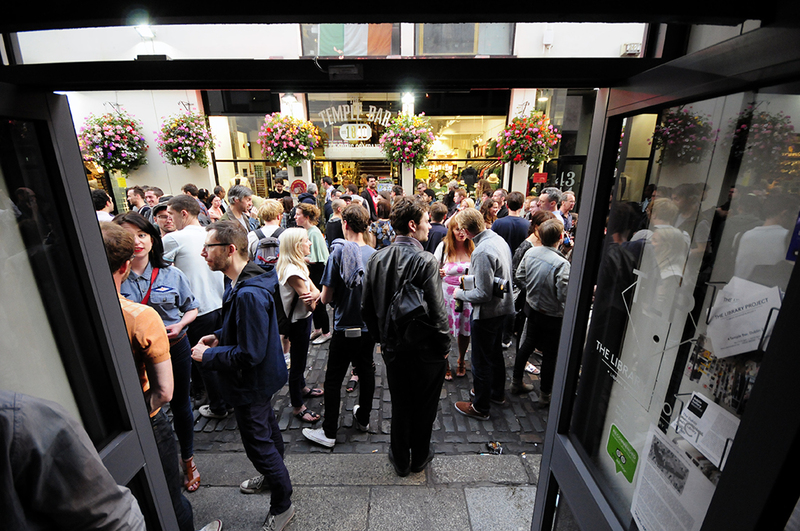 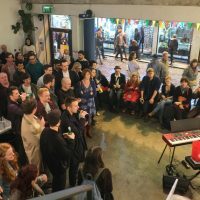 The venue has quickly become a key supplier to the local Arts diet, joining other well-established venues, and adding value to the Temple Bar Cultural Quarter. 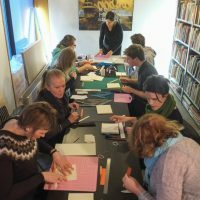 If you enjoy what we do and want to support PhotoIreland and The Library Project, you could volunteer, donate and help spread the word about our work. 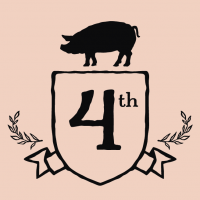 Follow us on: Facebook, Twitter, Google +, or subscribe to our newsletters by clicking on the blue button at the top of this page.